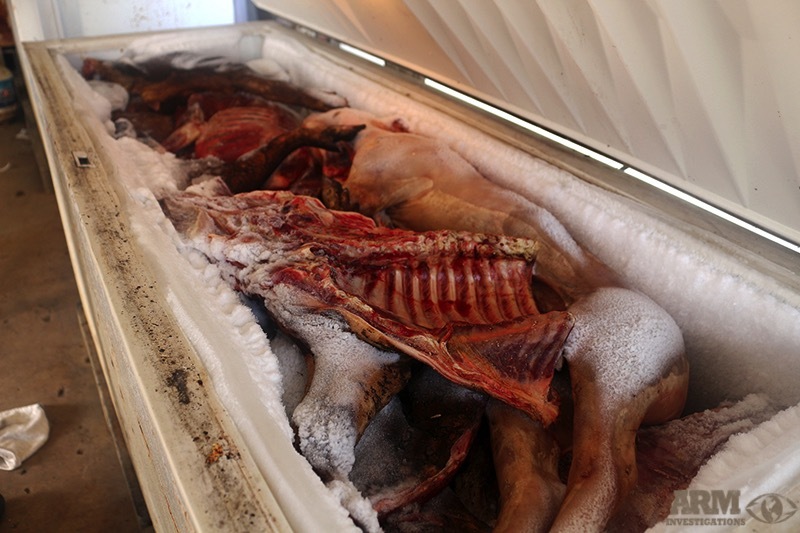 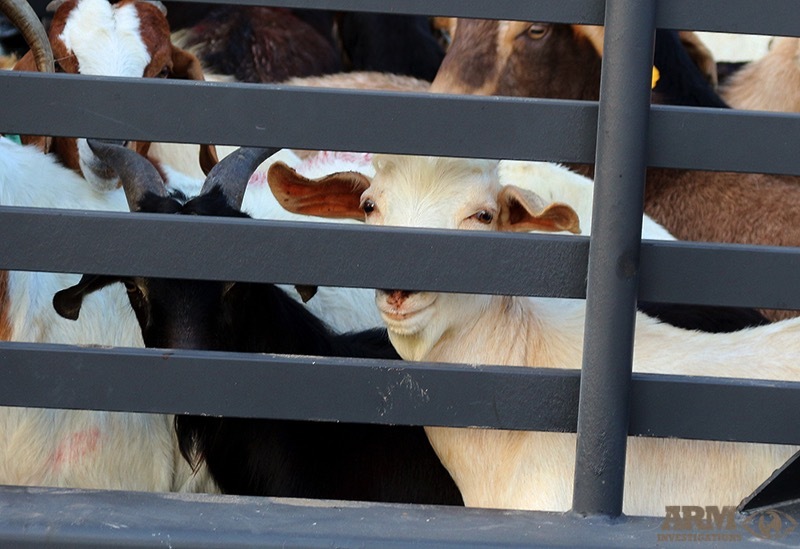 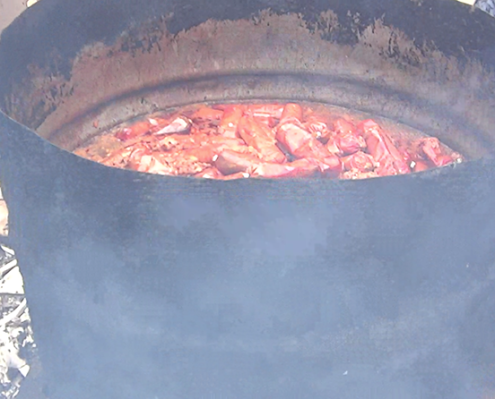 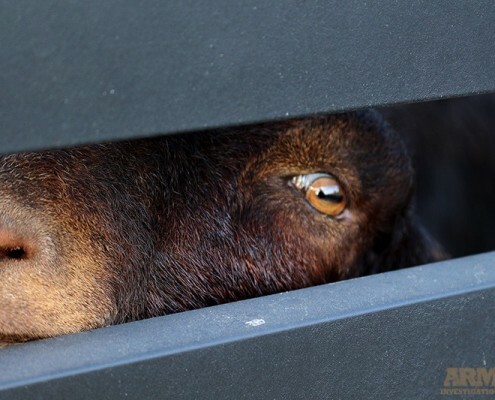 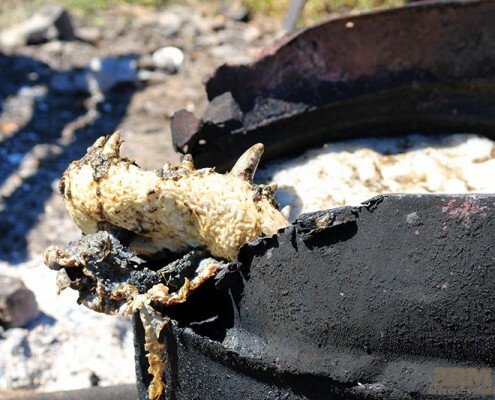 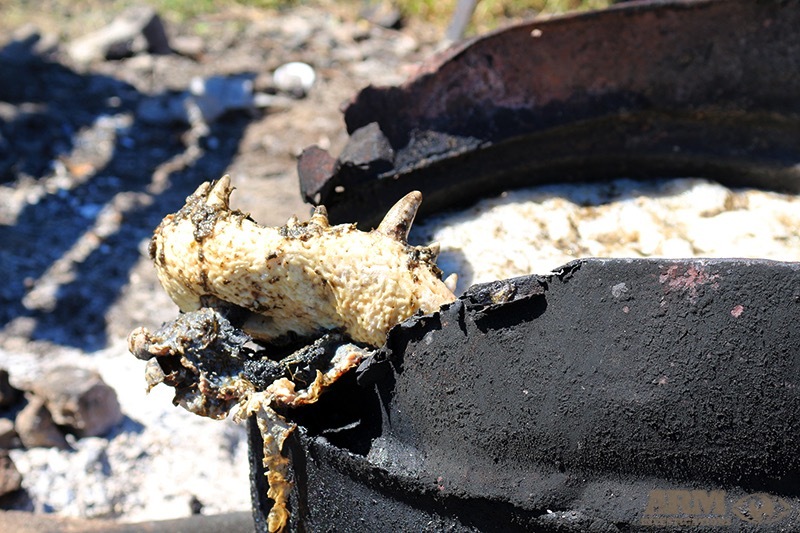 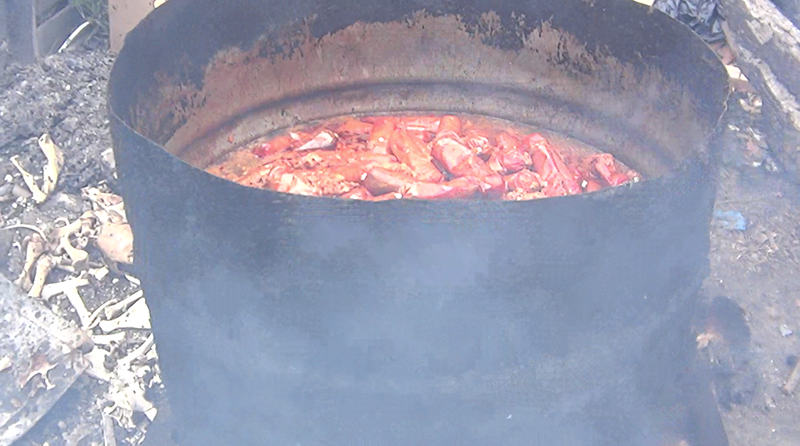 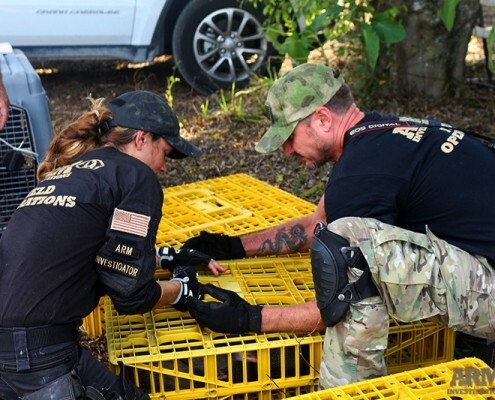 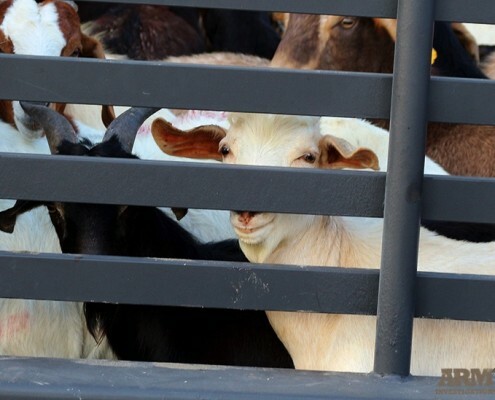 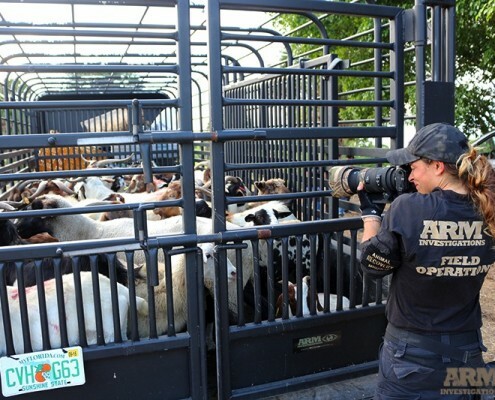 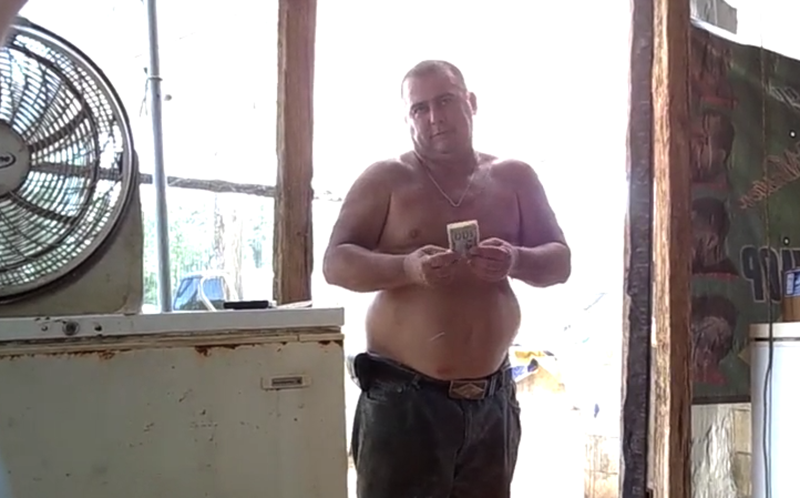 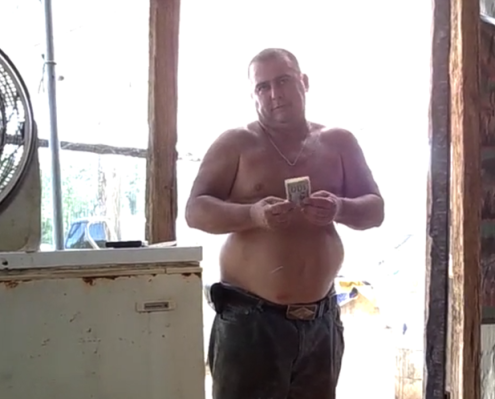 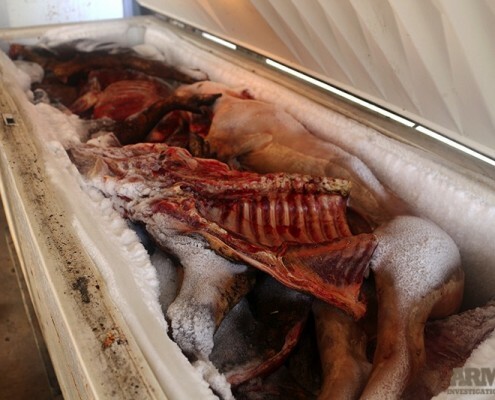 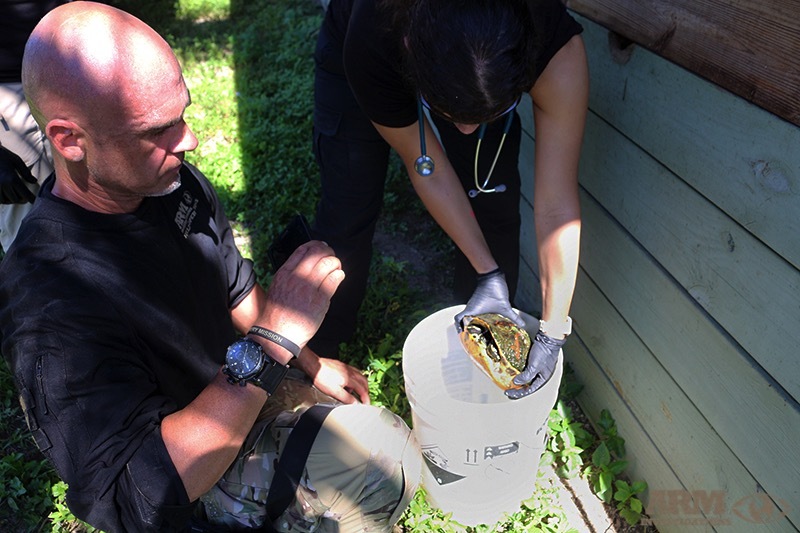 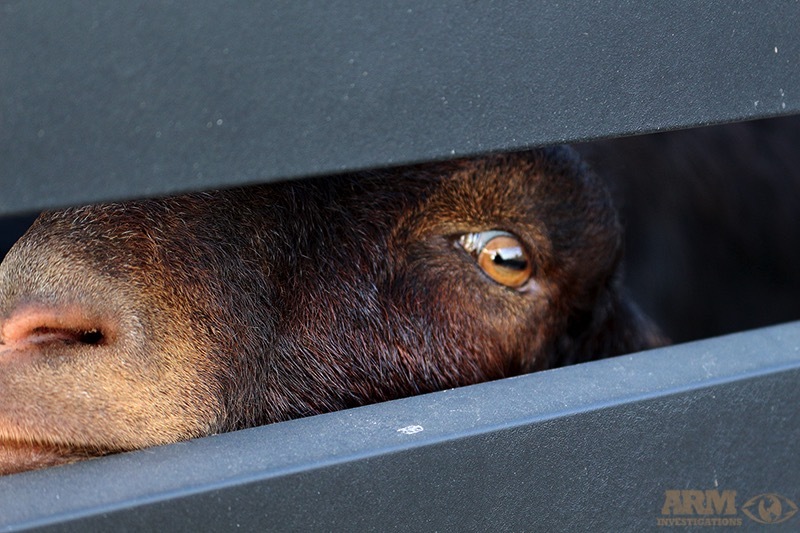 On July 4th ARM began short range surveillance on a property suspected of torturing and slaughtering animals for the purpose of selling their meat to the public. 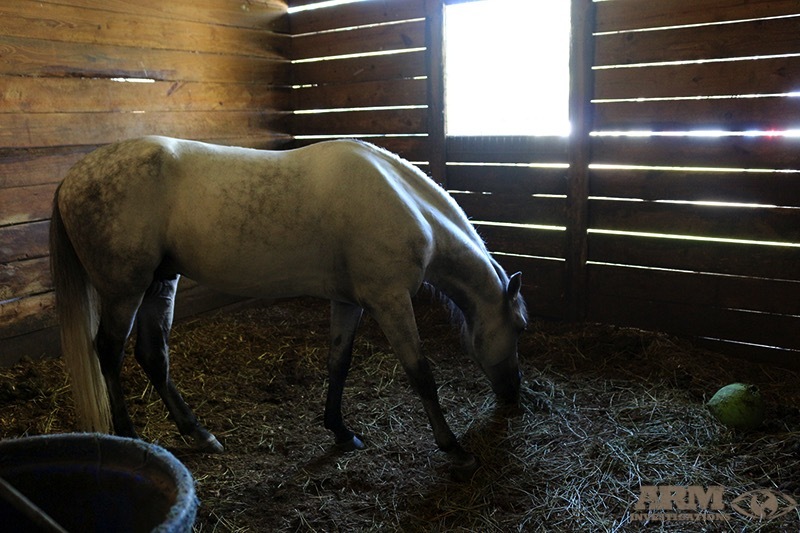 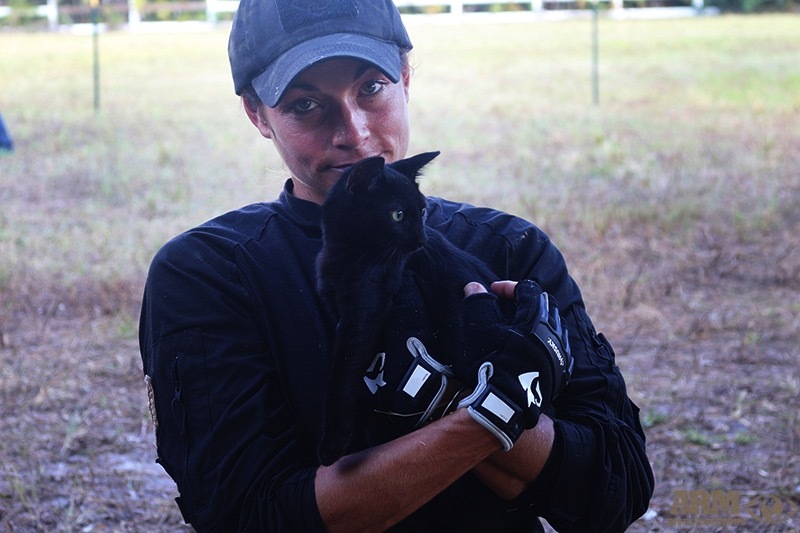 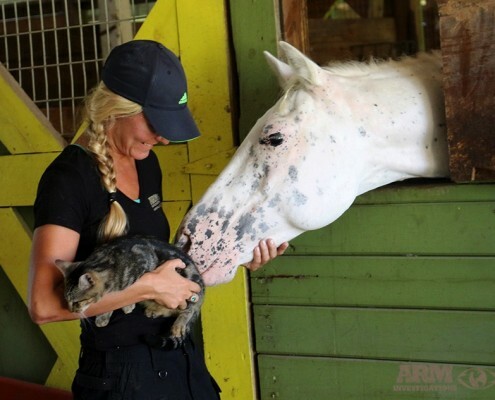 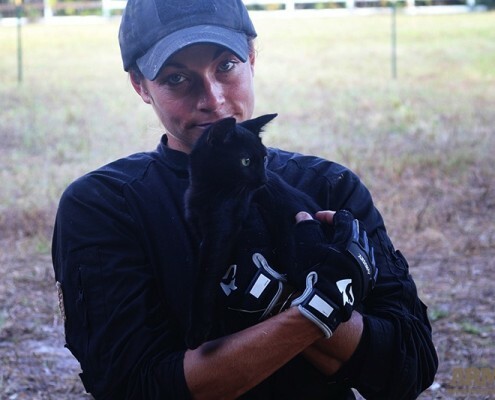 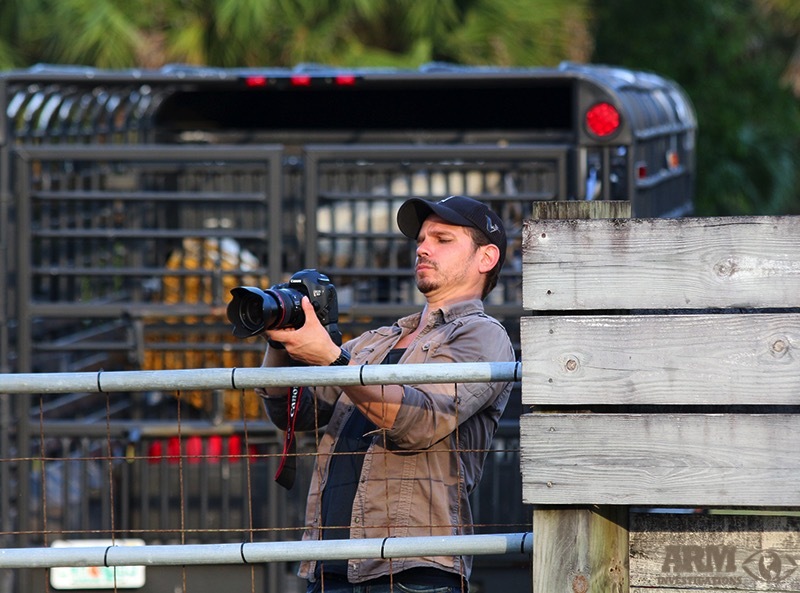 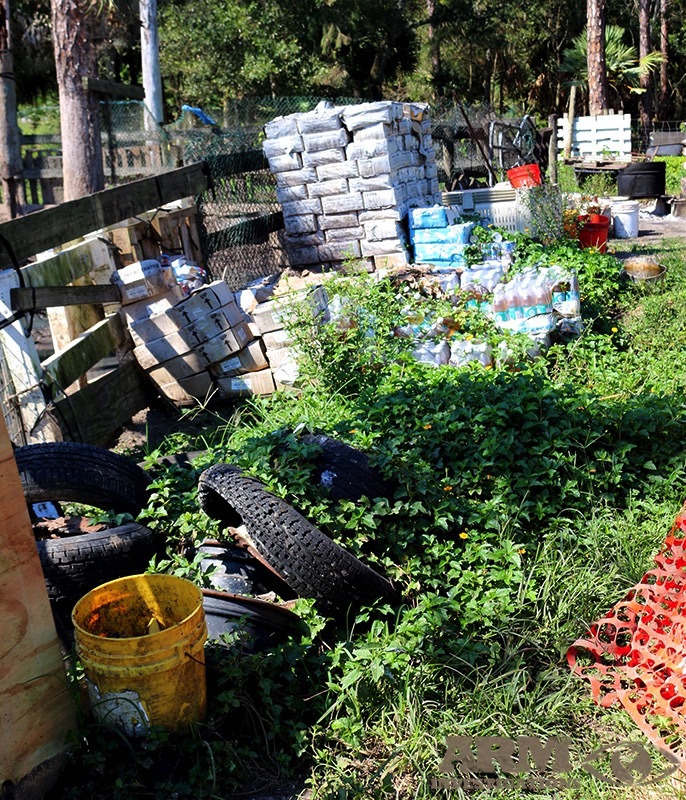 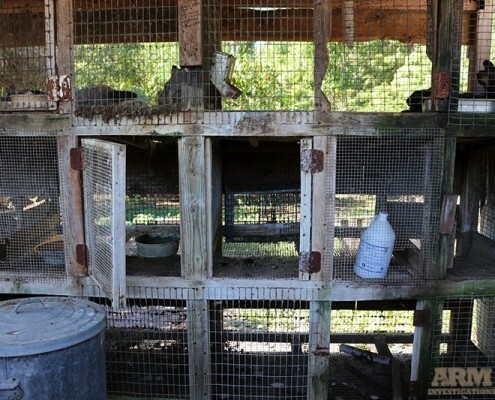 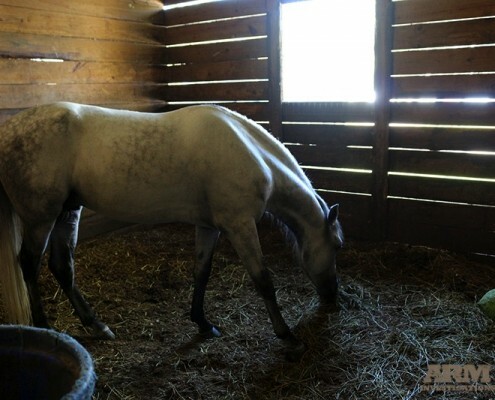 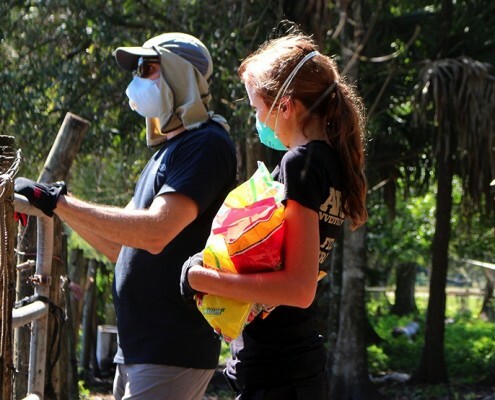 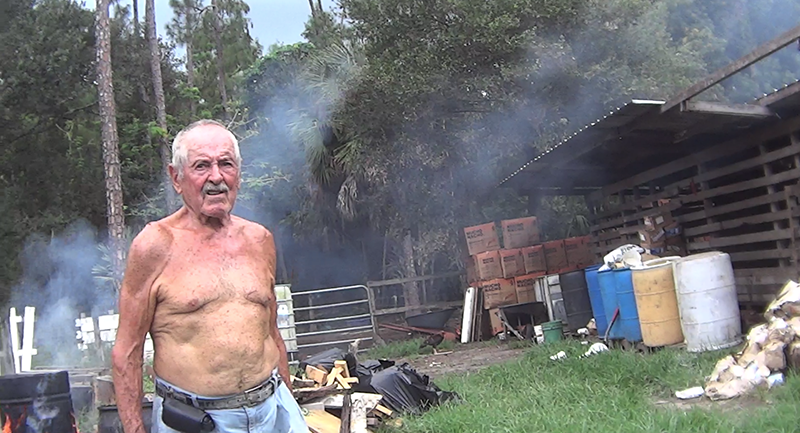 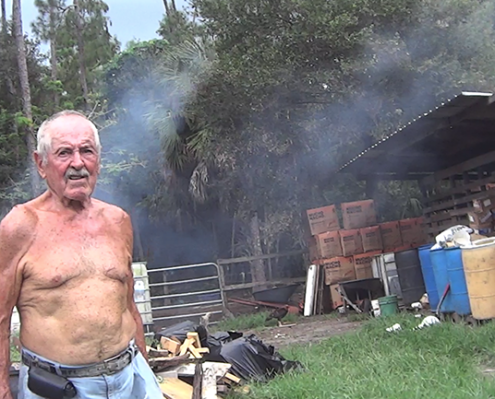 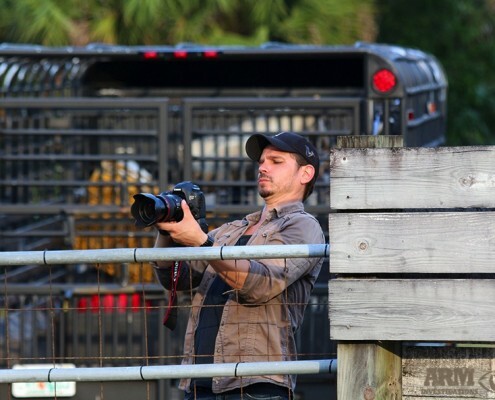 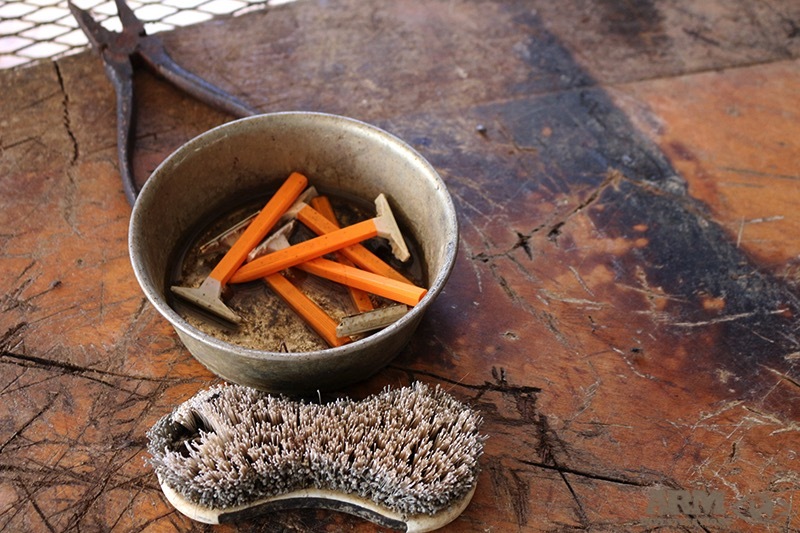 Located just minutes outside of Wellington, one of Florida’s most prestigious equestrian towns, the illegal animal slaughter farm (titled as G.A Paso Fino Farms by ARM investigators) was quickly infiltrated by undercover investigators who posed as customers and spent several months witnessing, documenting and exposing the heinous crimes that were being committed on the property, owned by Orlando Guzman. 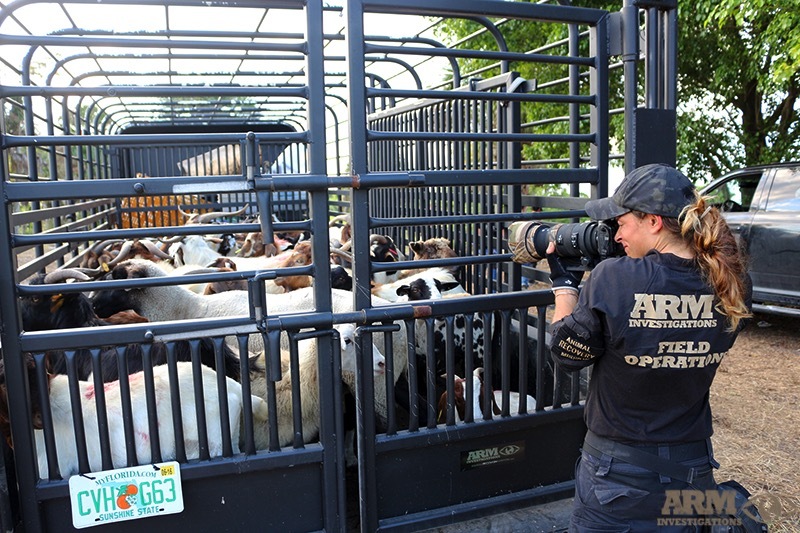 In addition to the slaughter operation, Guzman had also been operating a Paso Fino breeding and training business. 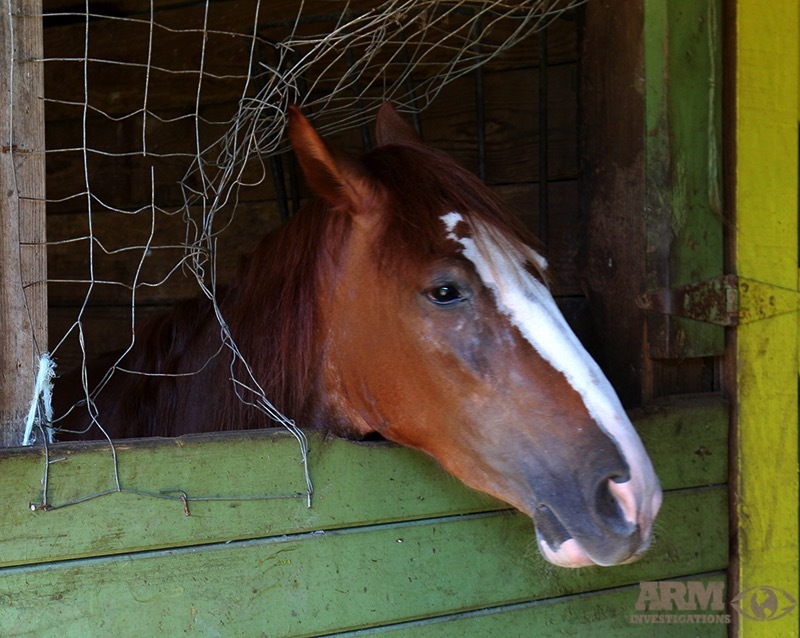 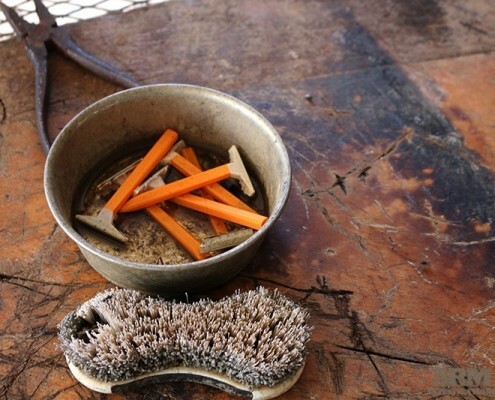 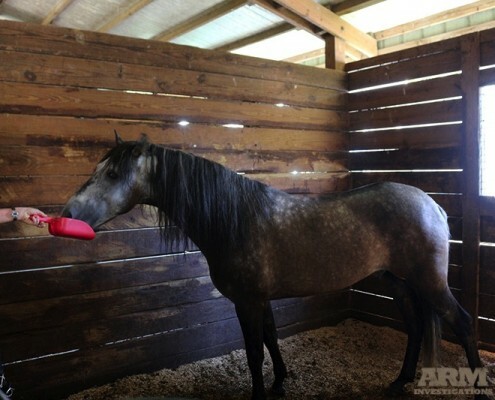 However during ARM’s undercover buys, it was revealed that the horses were also falling victim to being slaughtered and sold for human consumption. 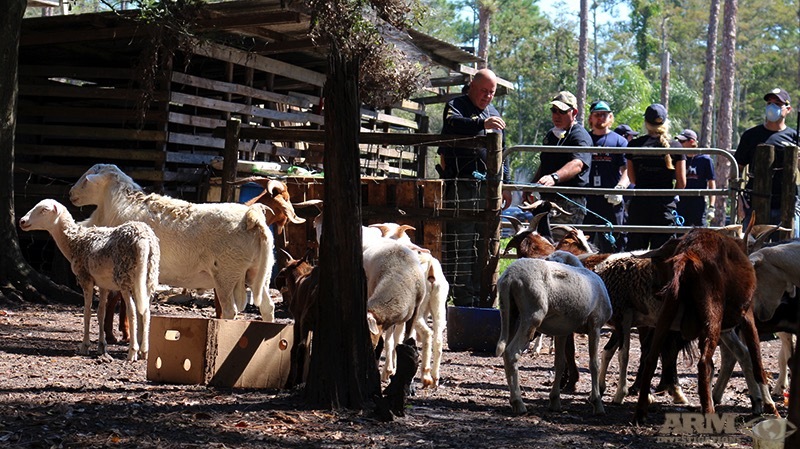 Paso Fino farm employees, Edgar Snr Bicca, Edgar Jnr. 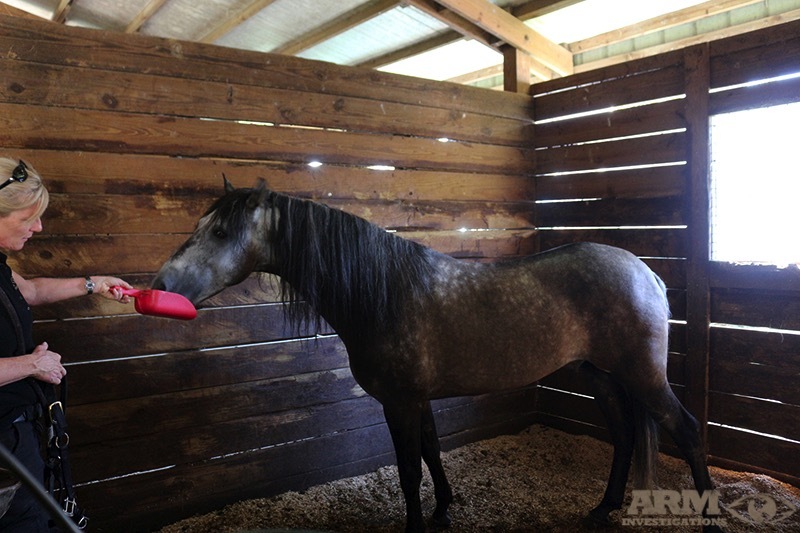 Bicca and another ‘John Doe’ employee slaughtered and sold horse meat, an action considered to be a third degree felony in the state of Florida. 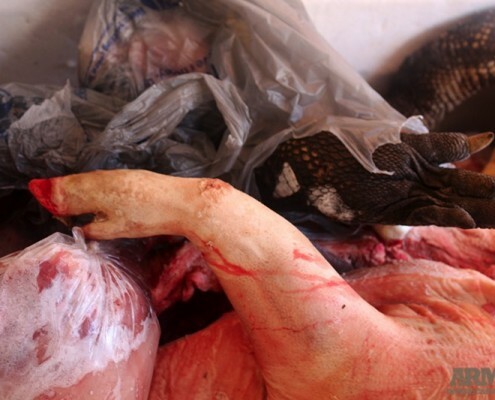 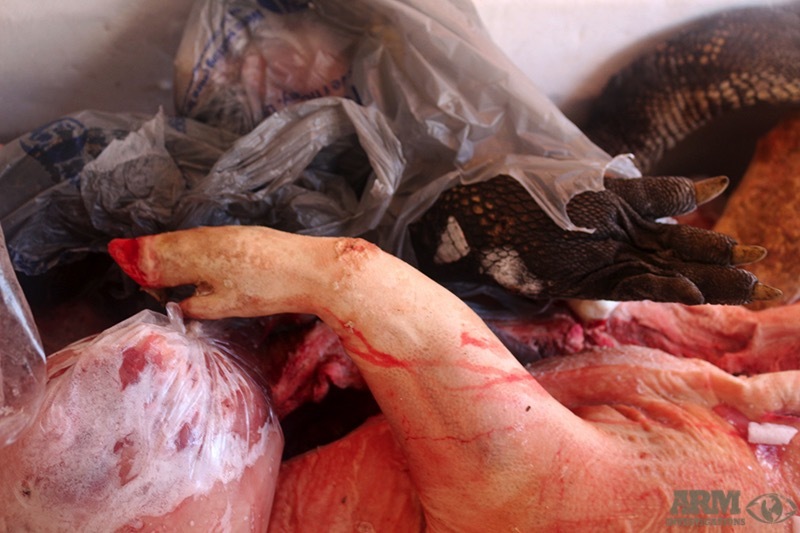 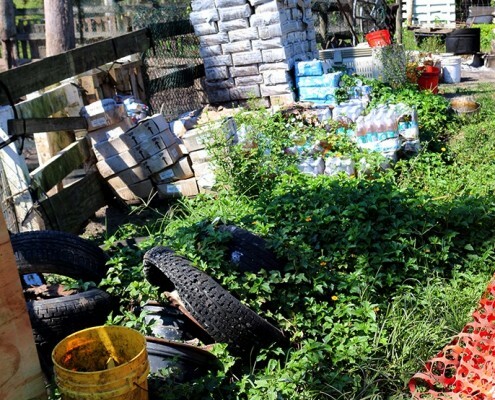 The duo were not only selling horse meat locally but spread into the underground market of the greater Miami area. 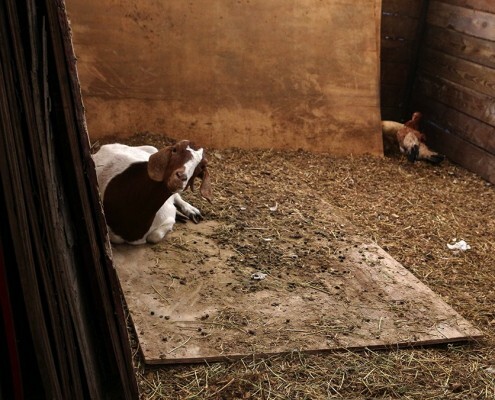 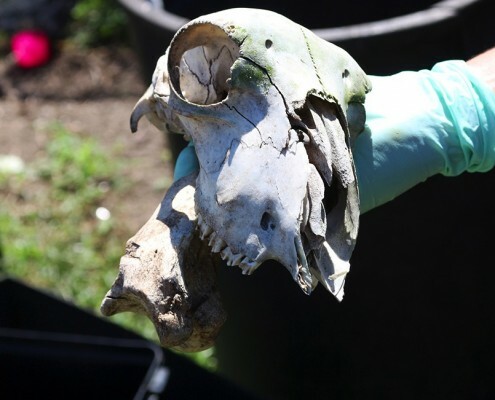 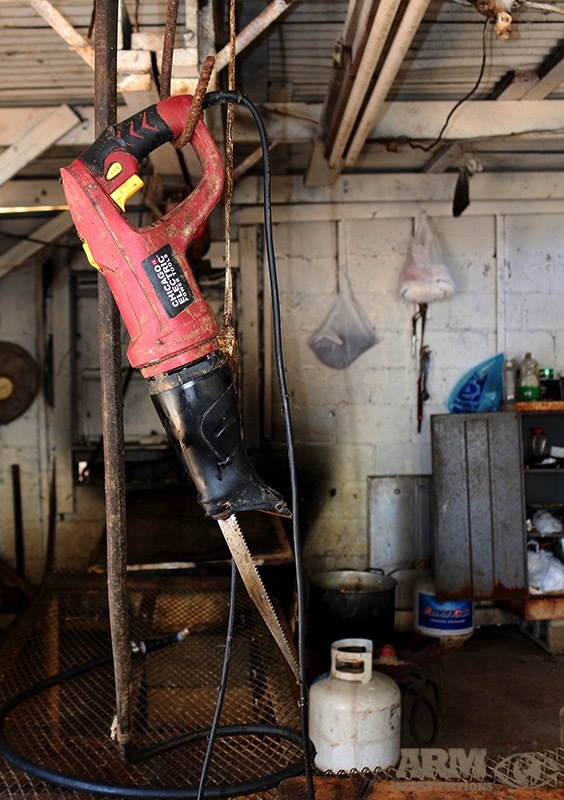 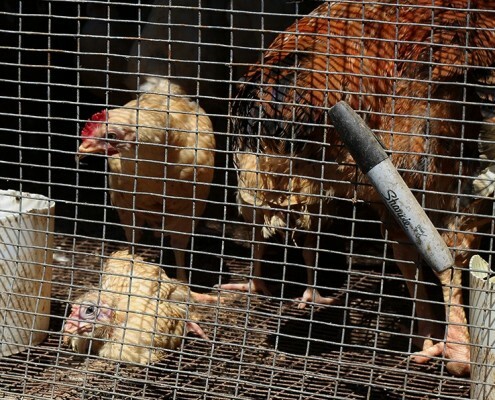 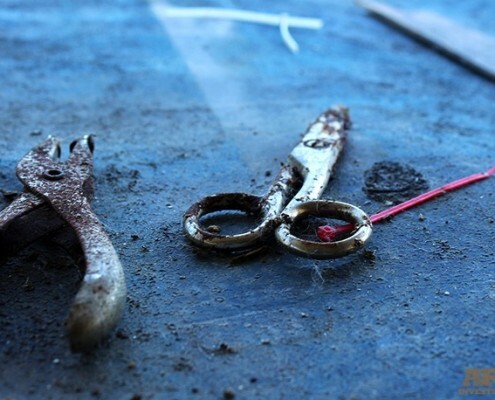 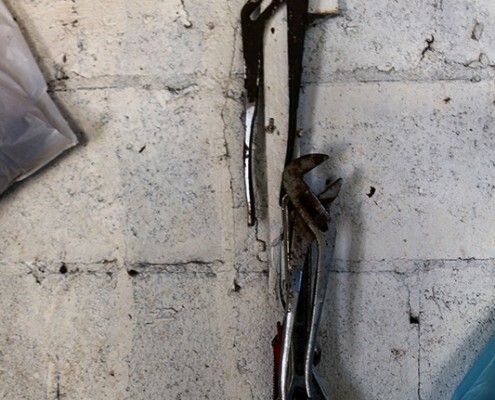 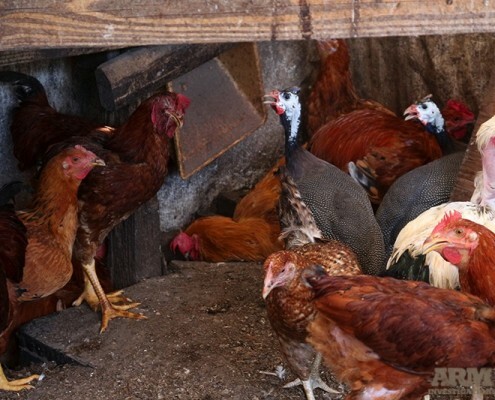 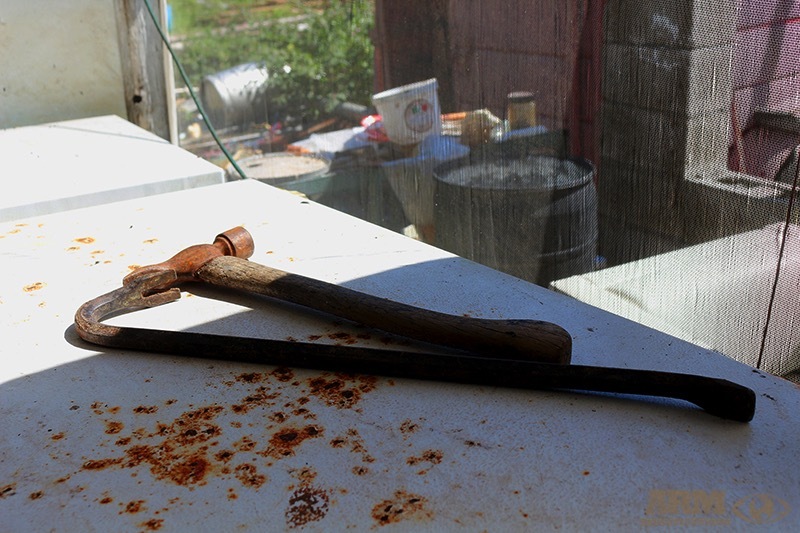 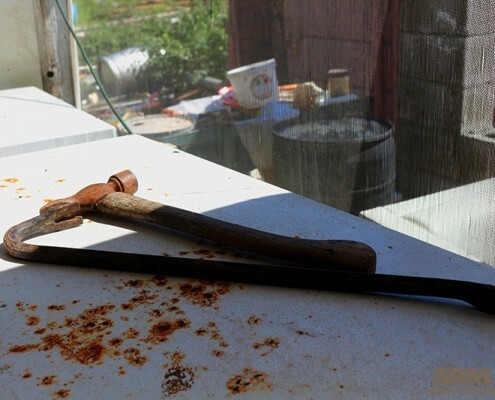 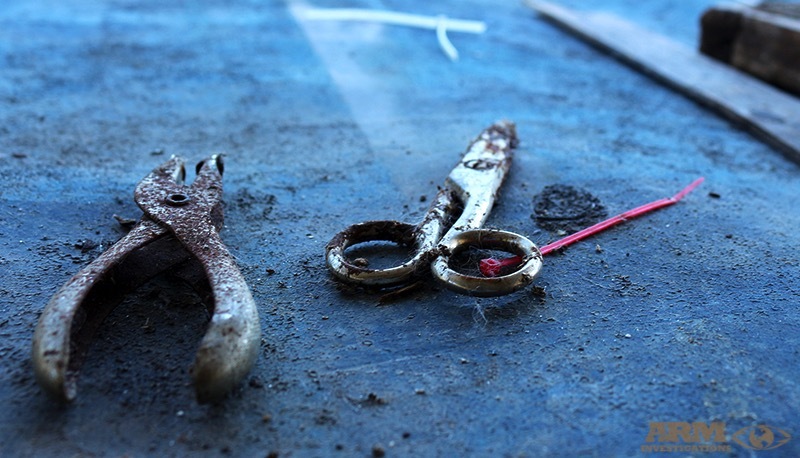 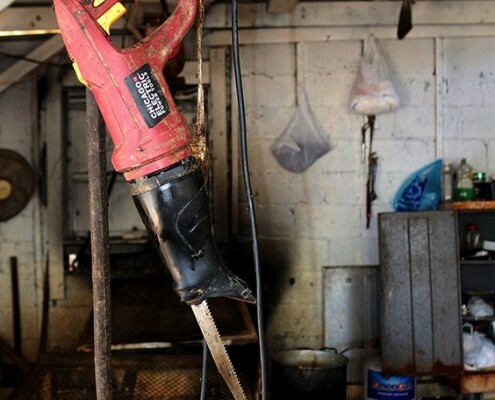 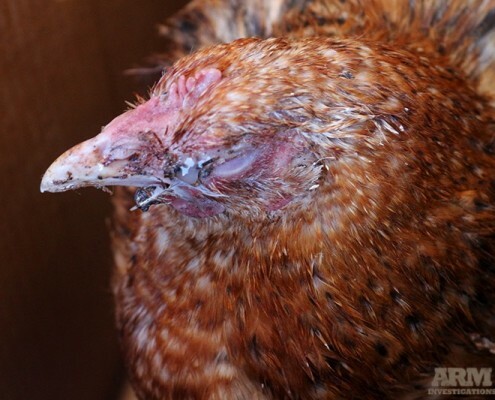 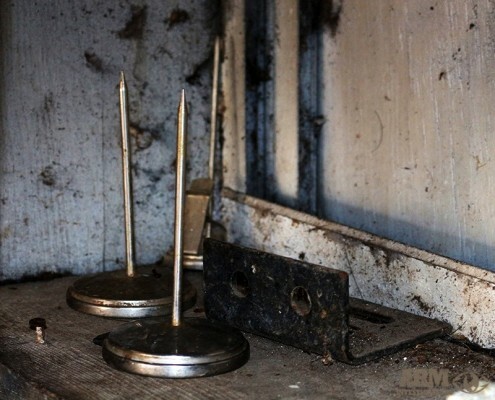 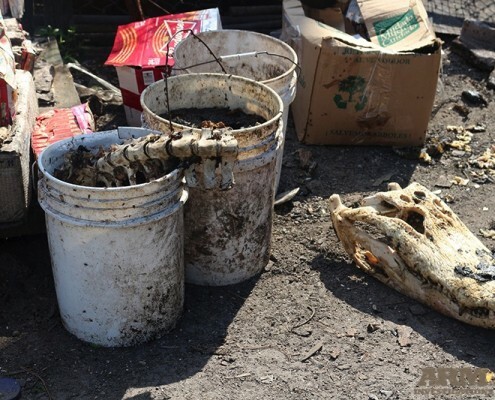 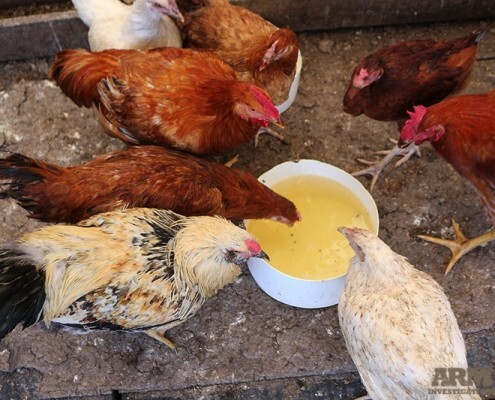 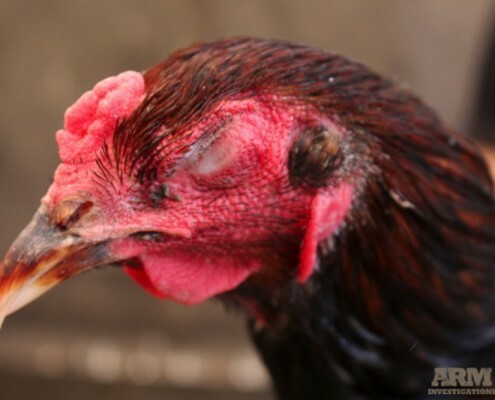 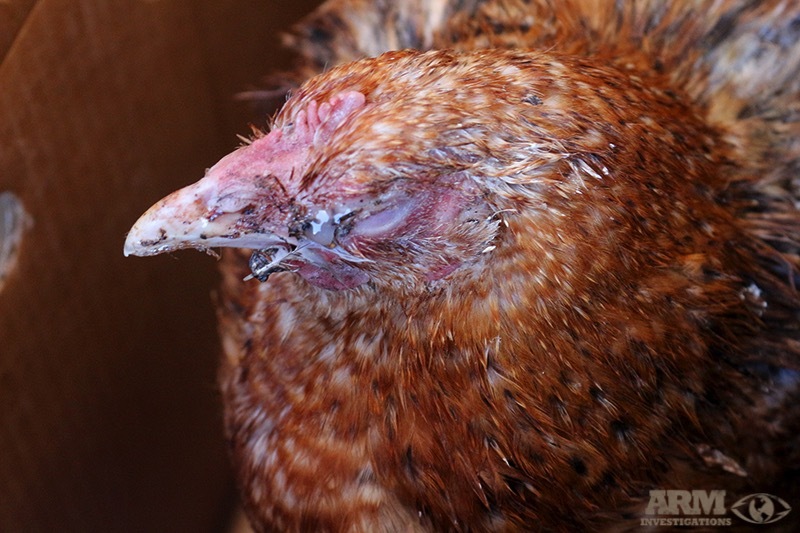 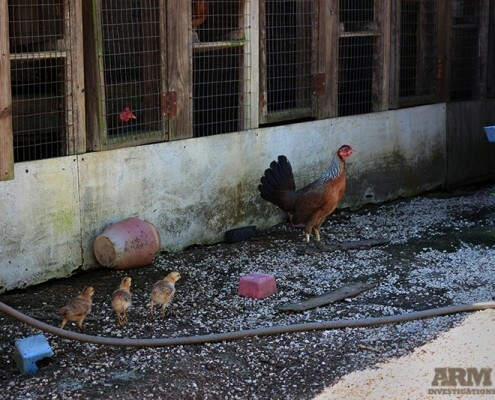 Aside the illegal and inhumane slaughtering of animals and horses, investigators also witnessed some of the cruelest forms of brutality against the animals being kept on the farm. 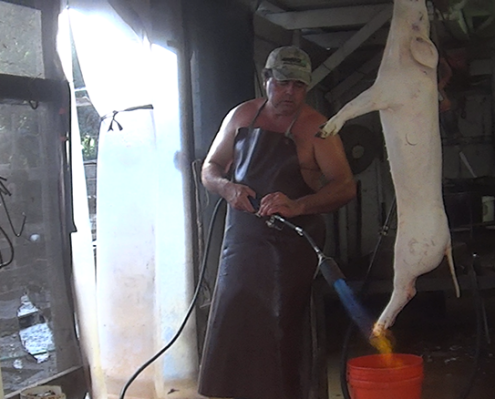 As occurs on many illegal slaughter farms, the methods to butcher the animals was executed in some of the most imaginable fashions. 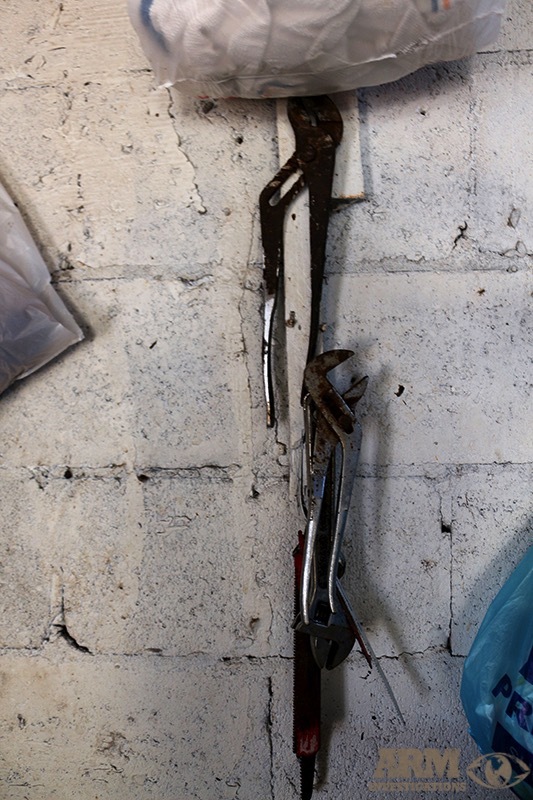 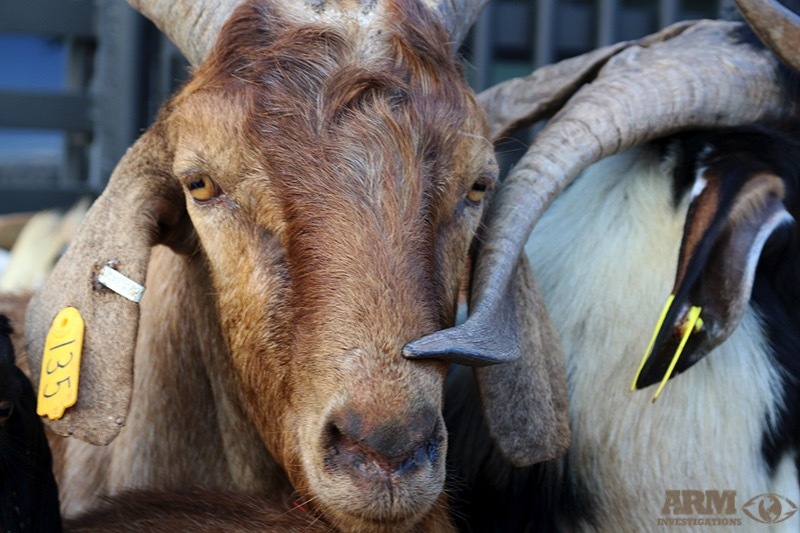 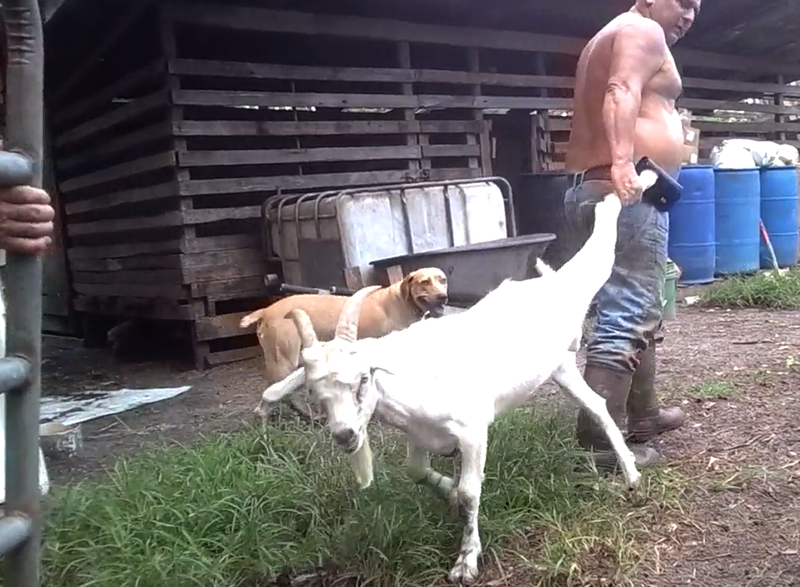 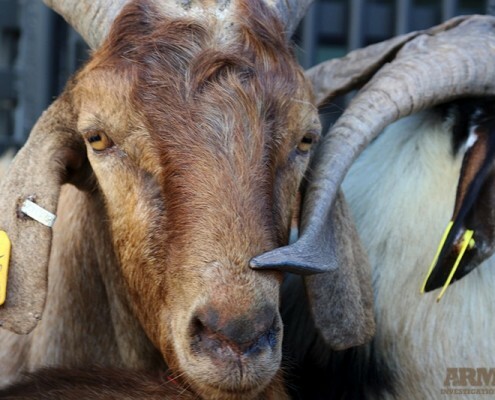 These were not limited to ARM documenting three employees ruthlessly grabbing and dragging goats to the kill area where they continued to slit the animals throat slowly with an extremely dull blade, letting them bleed out for several minutes before hoisting them upside down and skinning them whilst they were still clinically alive and not insensible to pain. 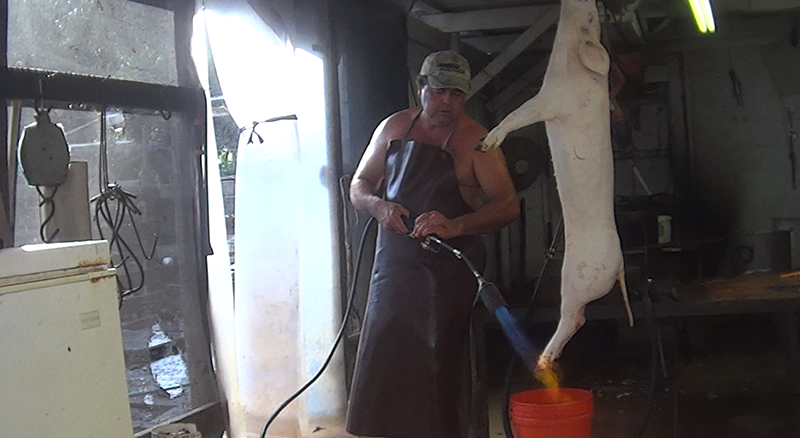 Pigs were also documented to being shot in the head with a 22 caliber rifle, one which is not considered to be a humane or instantaneous death for the pig. 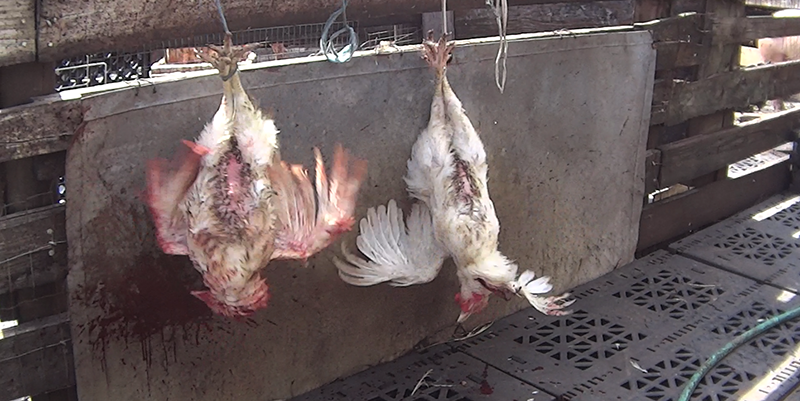 This was often followed several minutes later with having their throats slit by foot long dull blades and being bled out, thrashing in agony and enduring prolonged and painful deaths, often times being drowned to death whilst still alive. 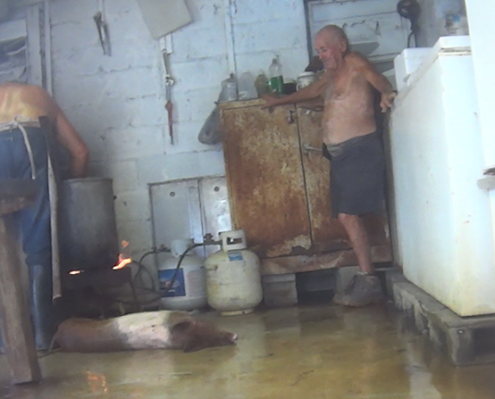 Employees also bragged about how they killed Armadillos by throwing them directly into boiling water without even being stunned first. 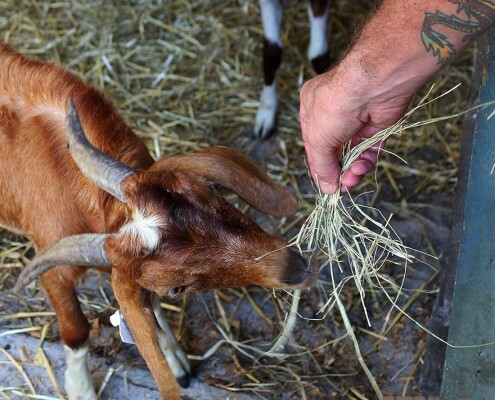 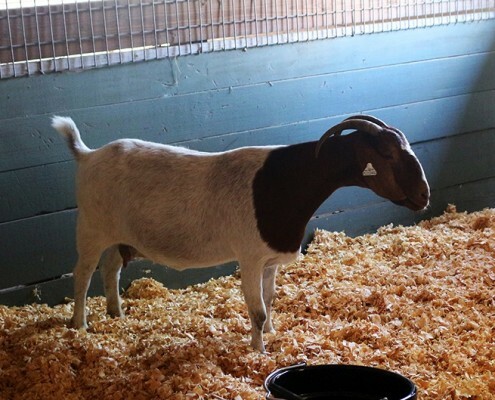 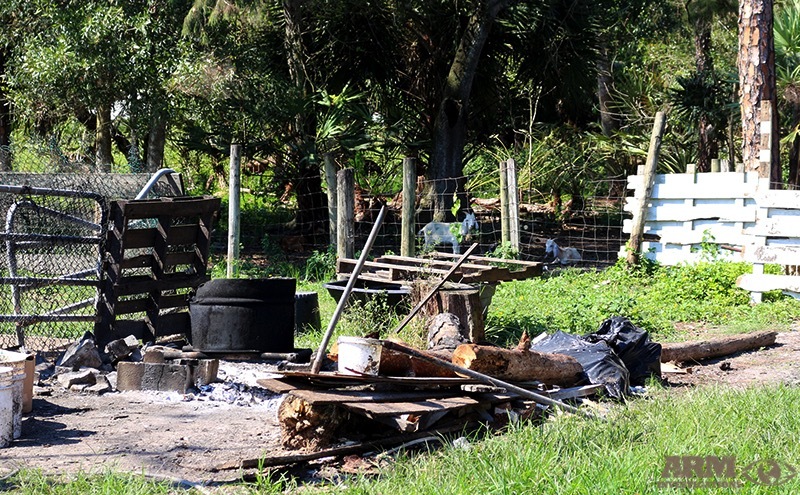 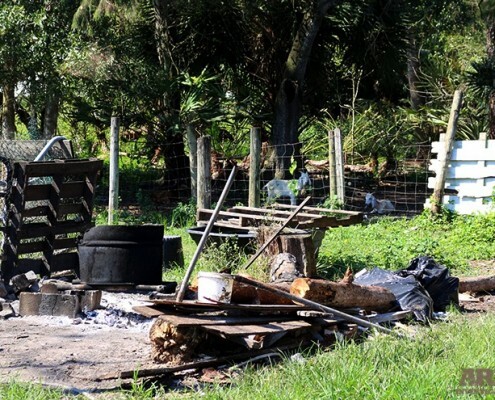 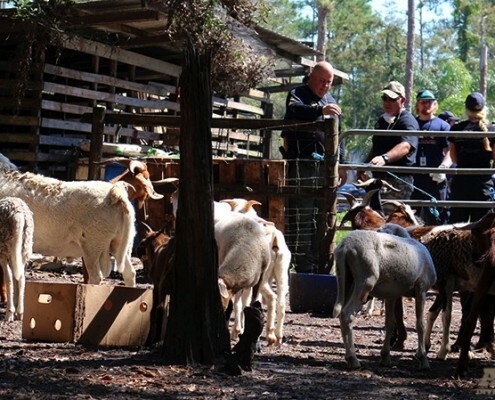 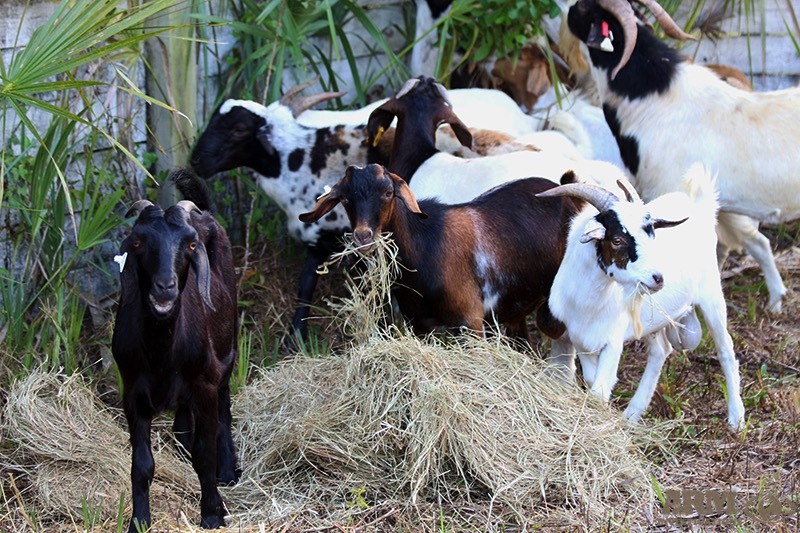 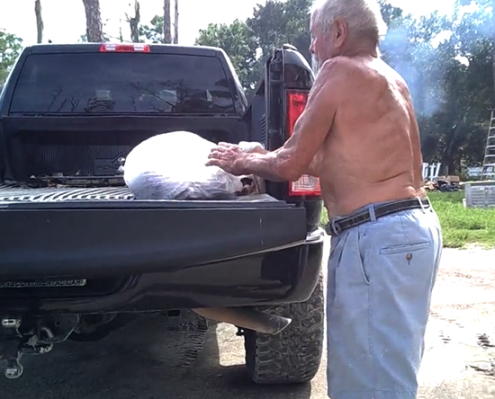 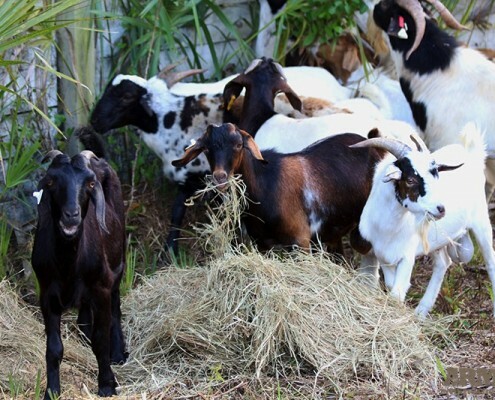 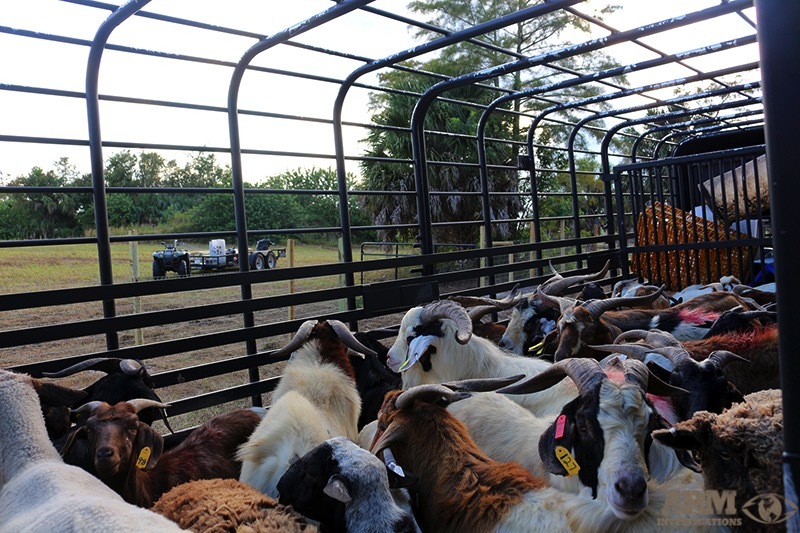 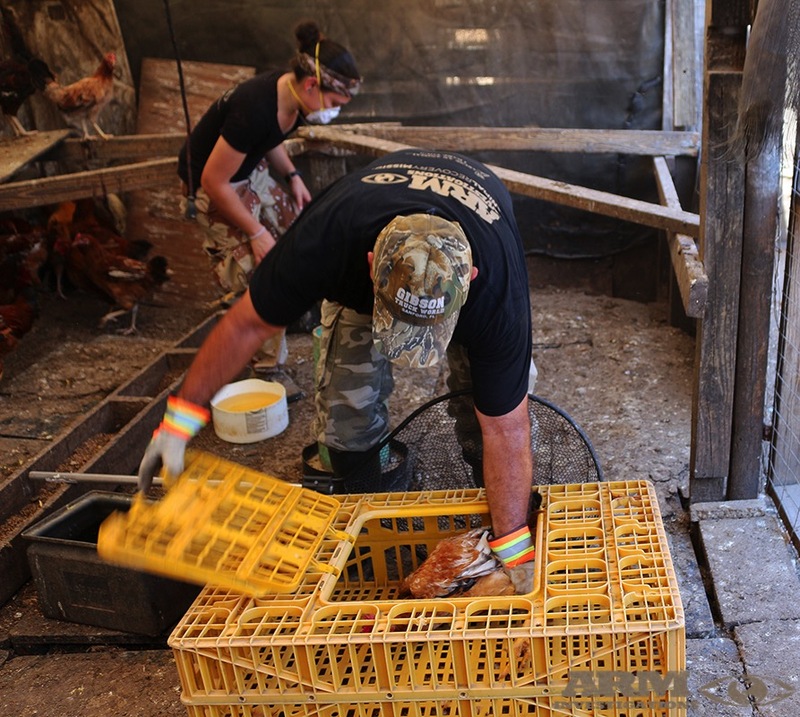 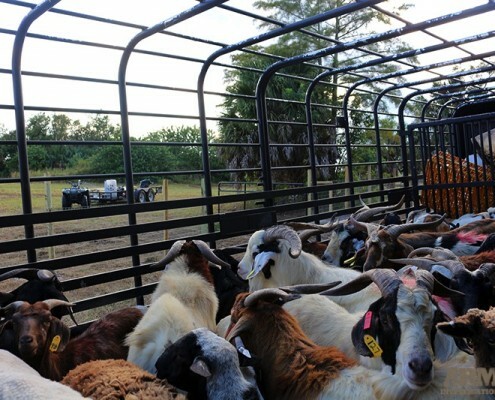 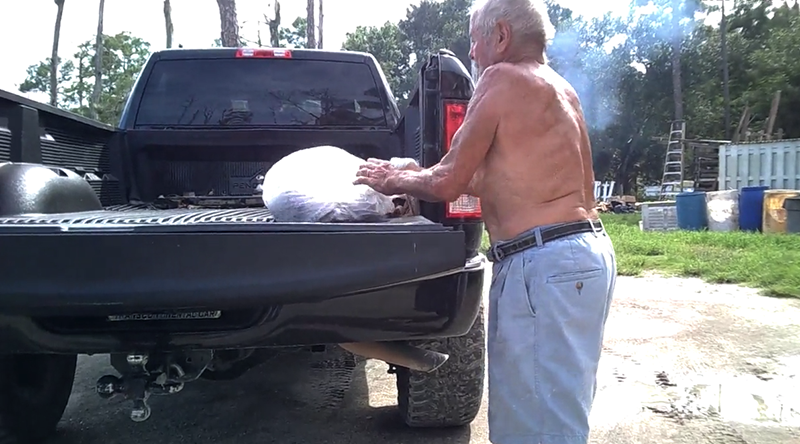 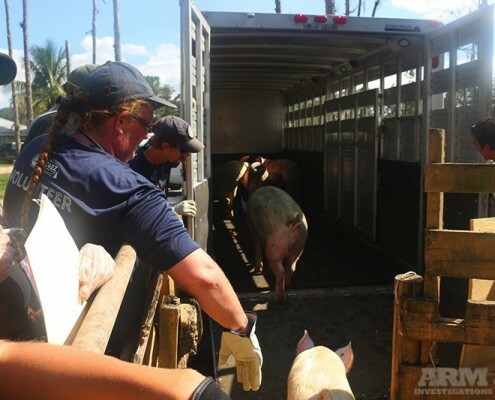 The owner and employees of G.A Paso Fino Farm have a reputation in Palm Beach County as not only being butchers but also as being suppliers of horse meat for both human consumption as a delicacy and to serve the purpose of medicinal purposes and even to treat sexual performance in men. 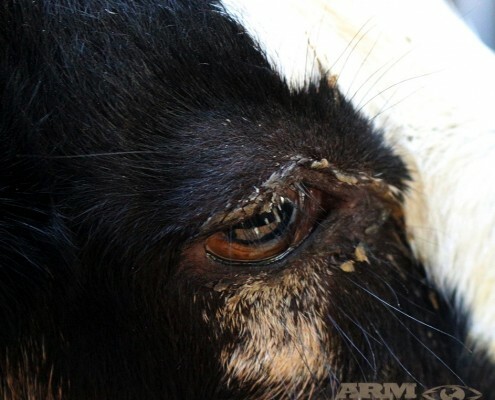 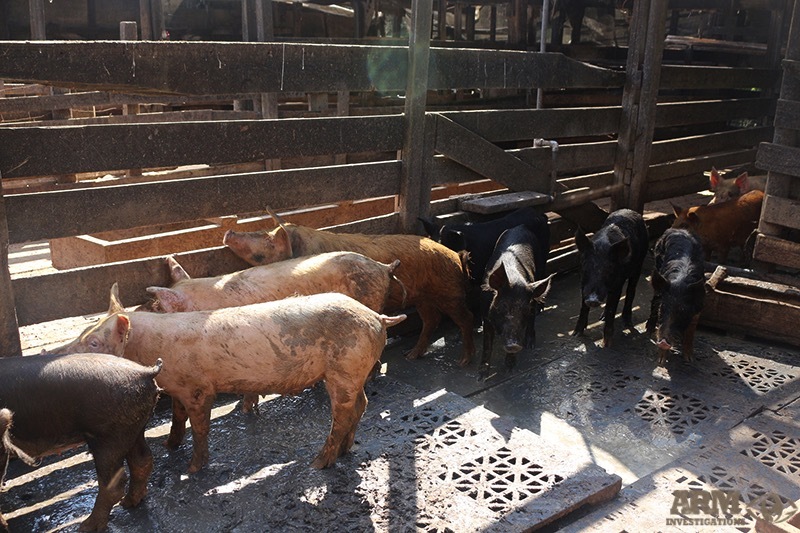 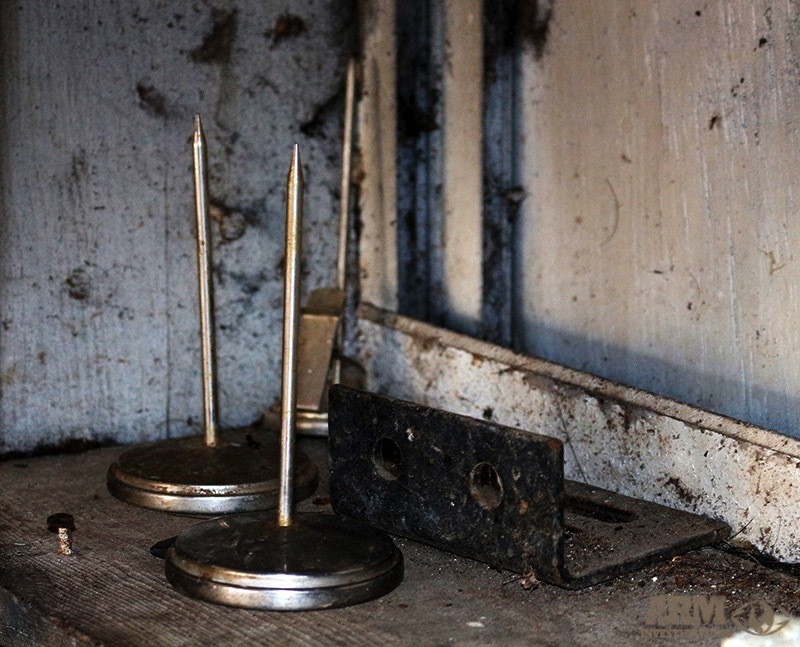 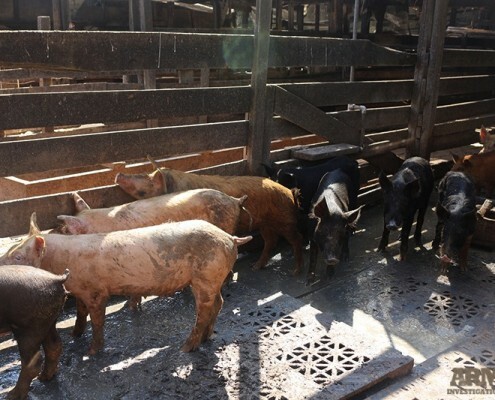 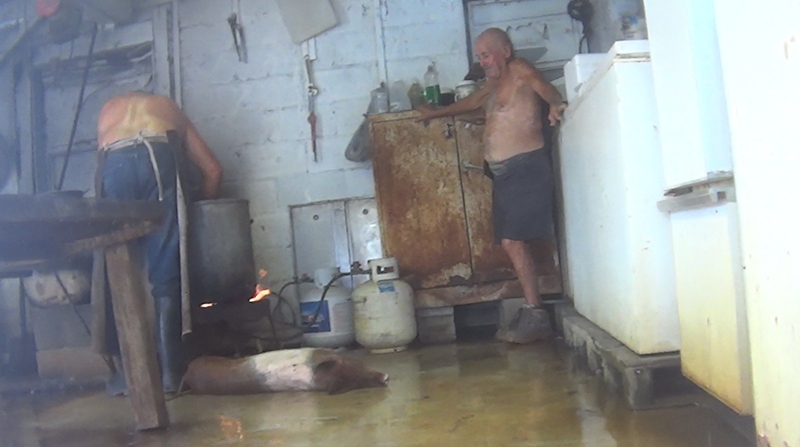 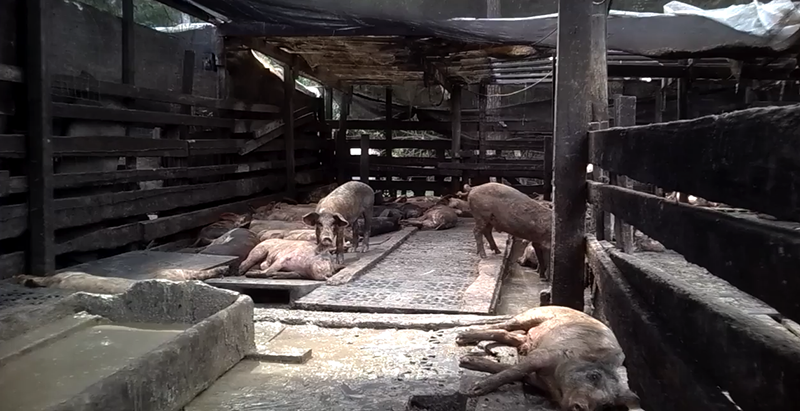 The state of the animals conditions upon the G.A Paso Fino farm are without a doubt some of the most deplorable conditions. 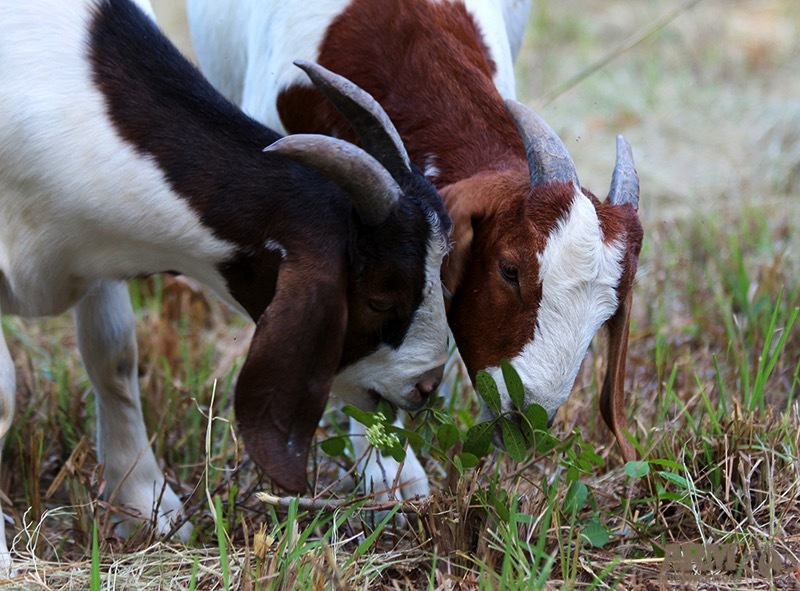 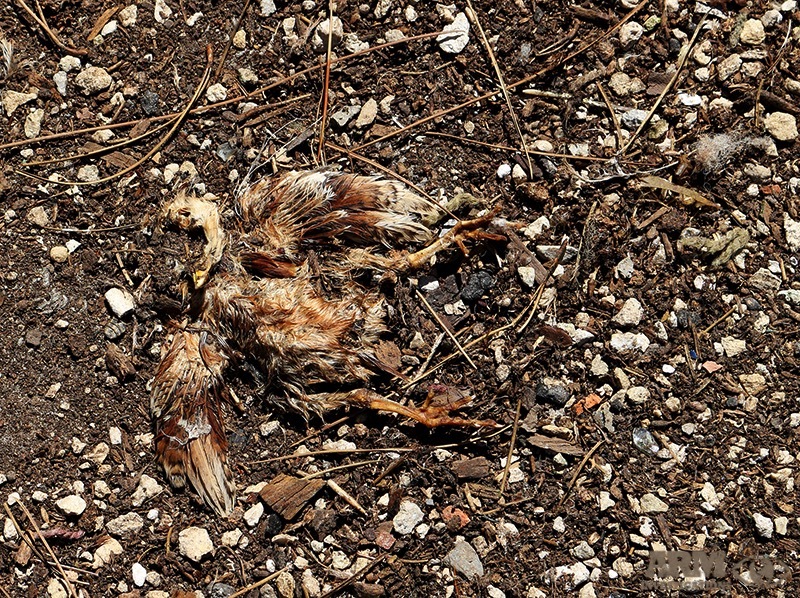 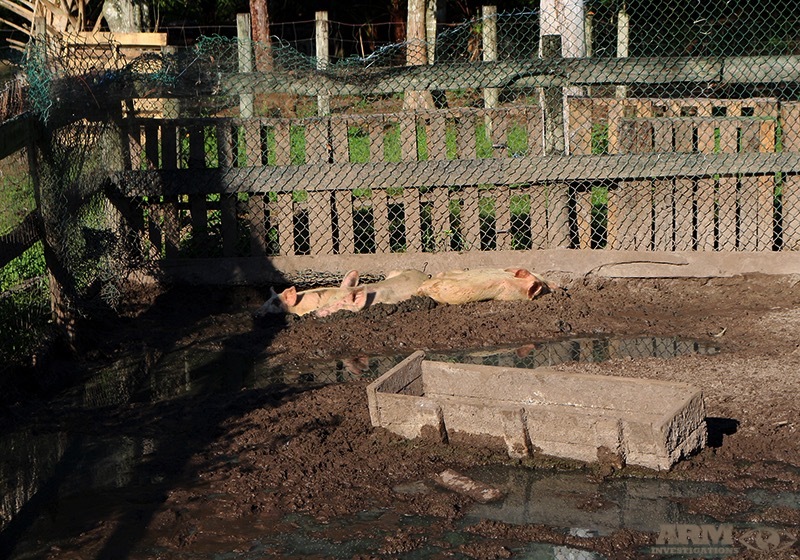 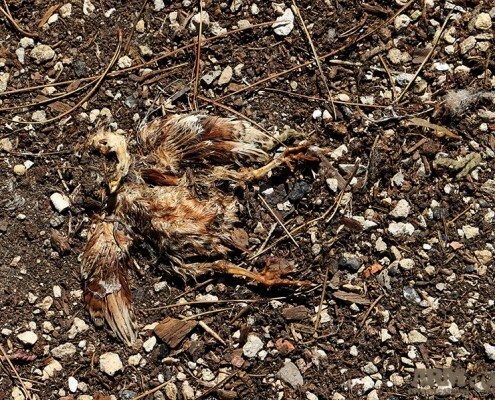 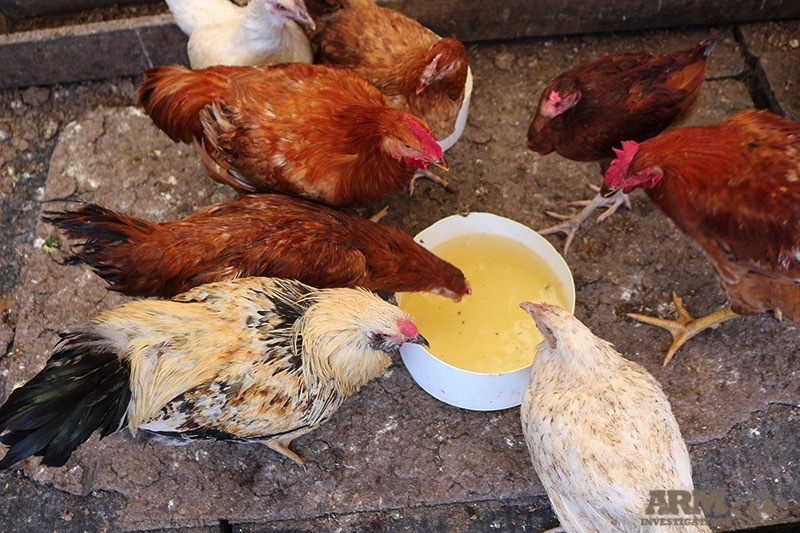 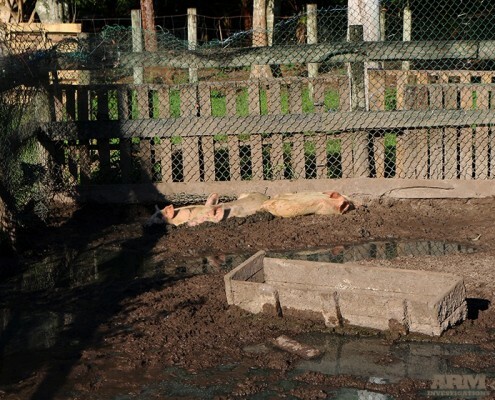 Animals are deprived of water, feed and medical treatment and many of the animals are not only living in extreme filth but are also forced to feed off one another. 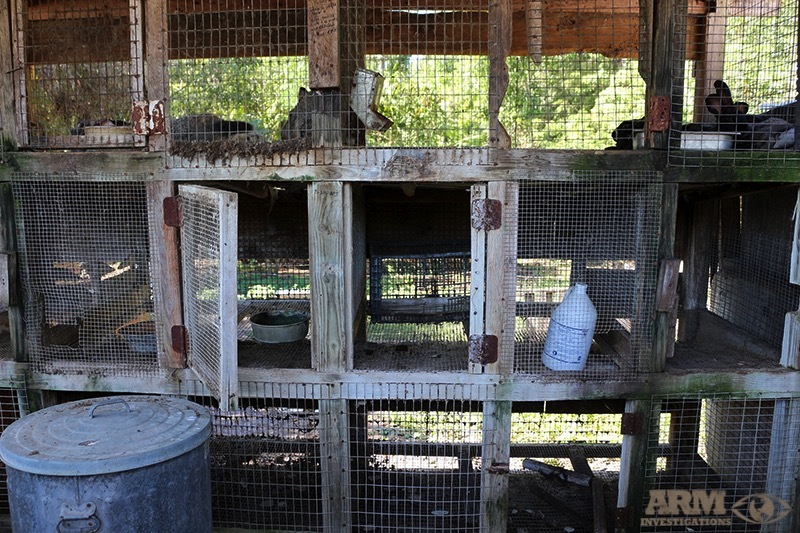 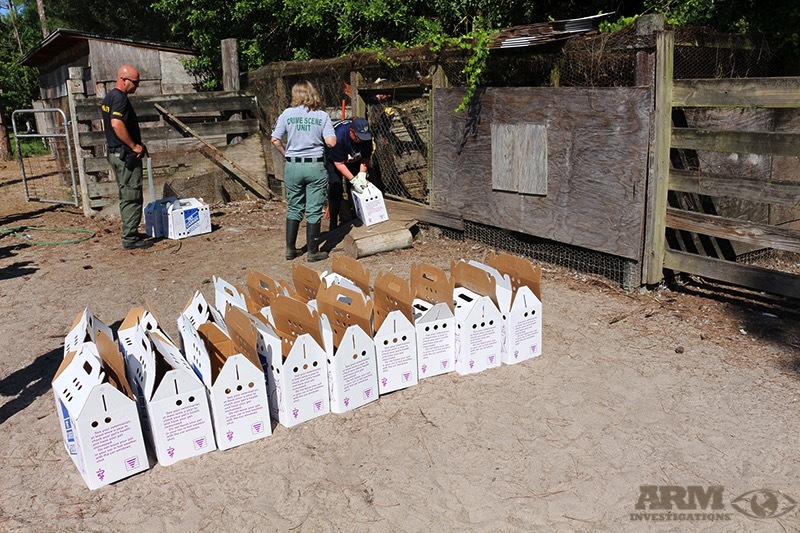 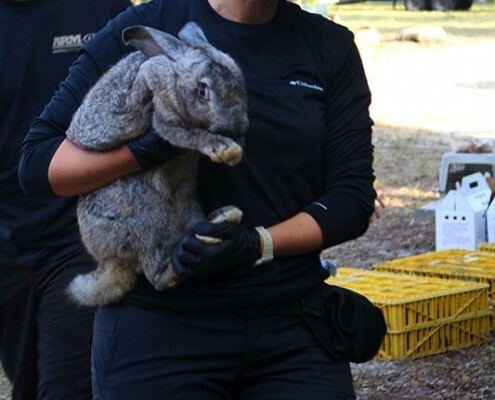 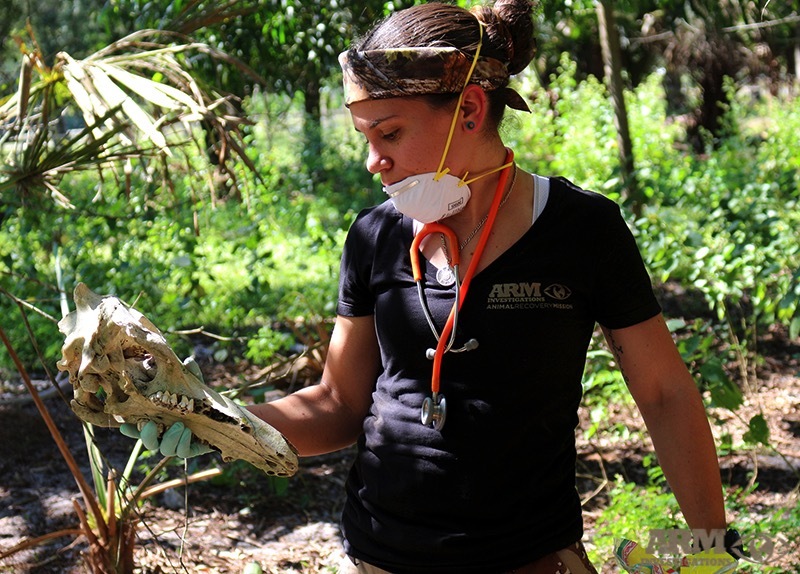 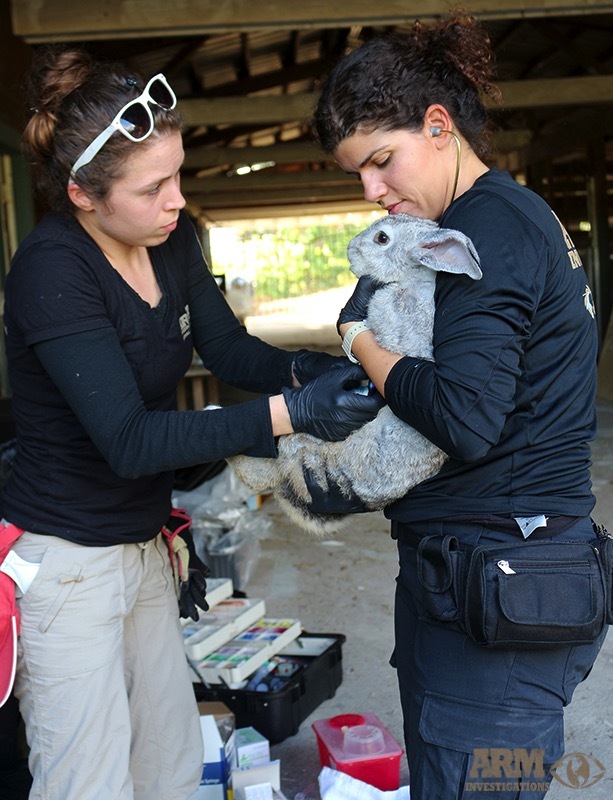 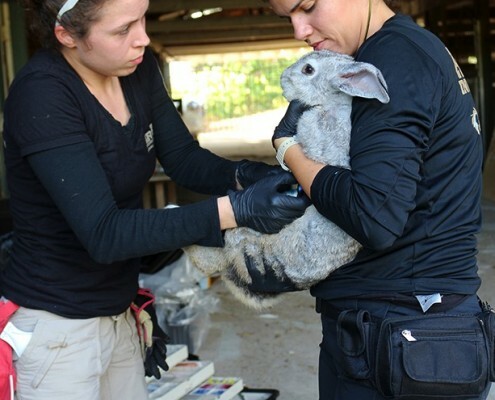 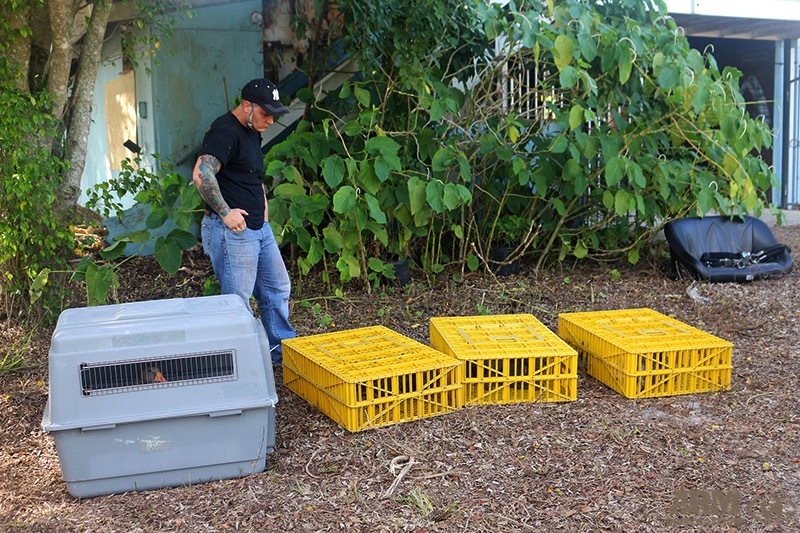 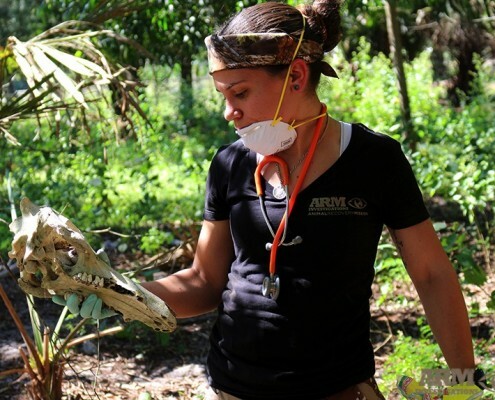 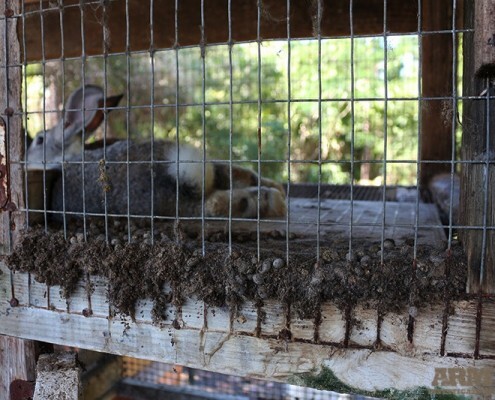 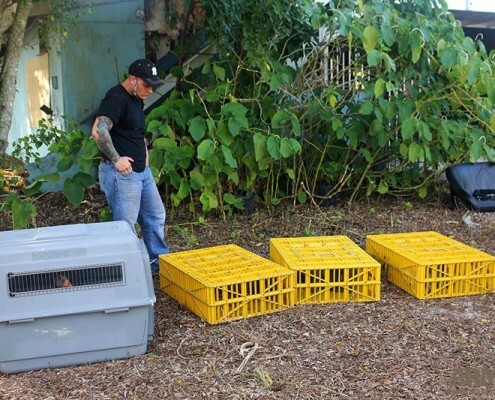 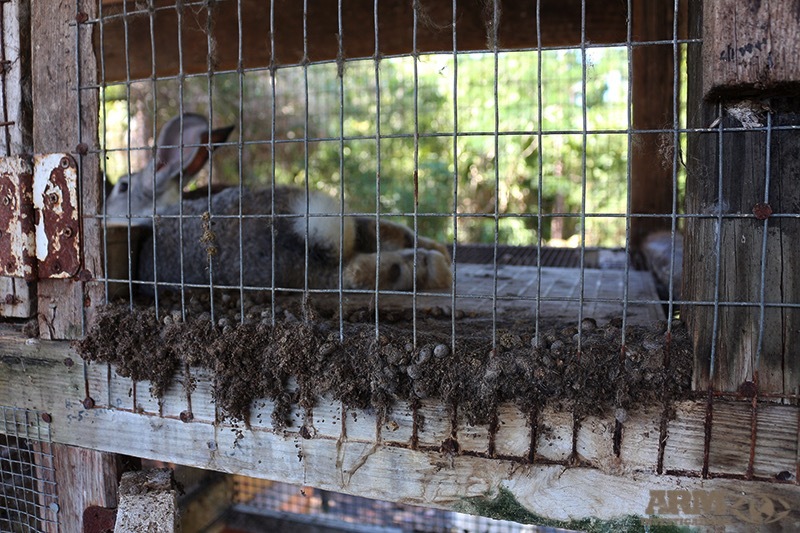 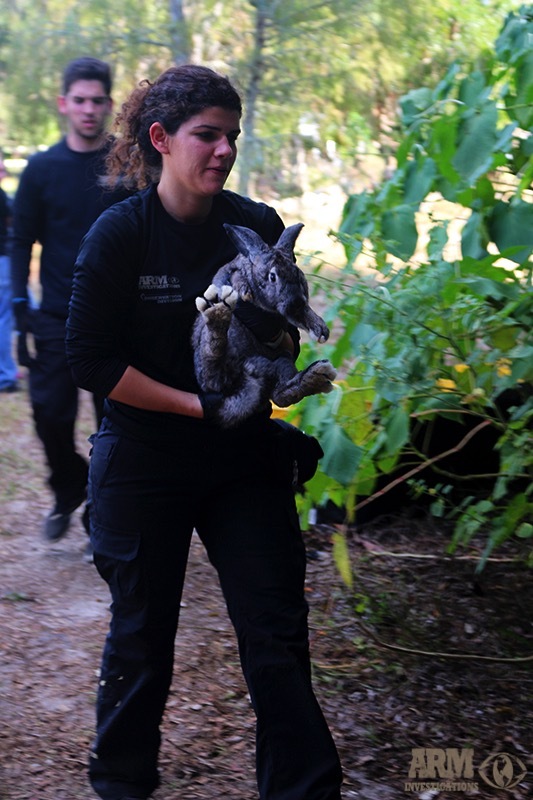 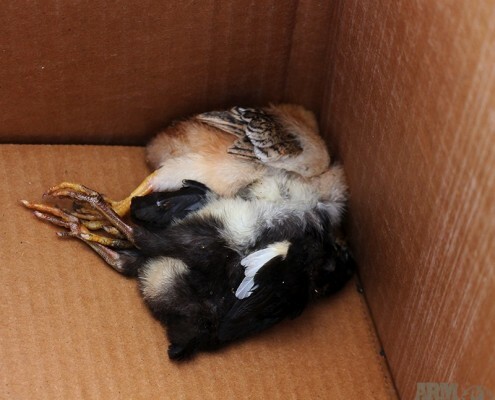 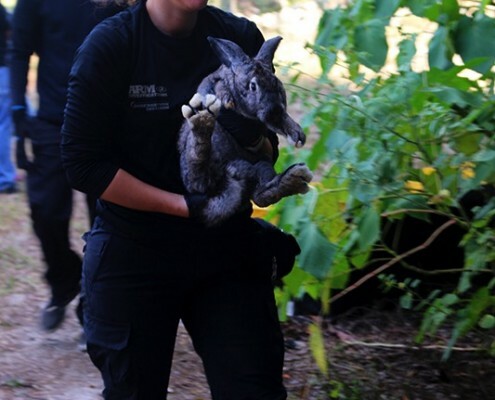 All of these crimes against animals and atrocities were documented and collected throughout ARM’s investigations were documented and presented to the Palm Beach County State Attorney’s office, as well as State and Federal enforcement agencies, USDA, State and Federal environmental agencies and PBC animal services department. 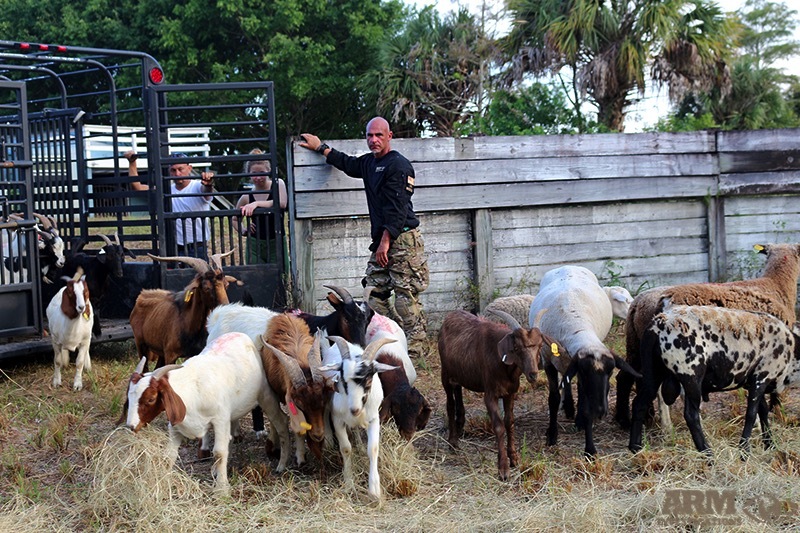 Due to ARM’s investigations and the collaboration with the above agencies, G.A Paso Fino Farms was raided at daybreak on October 13th, 2015. 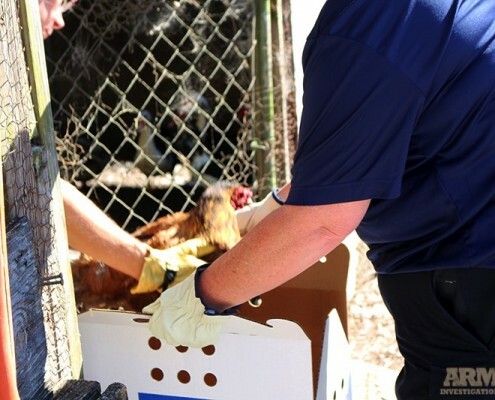 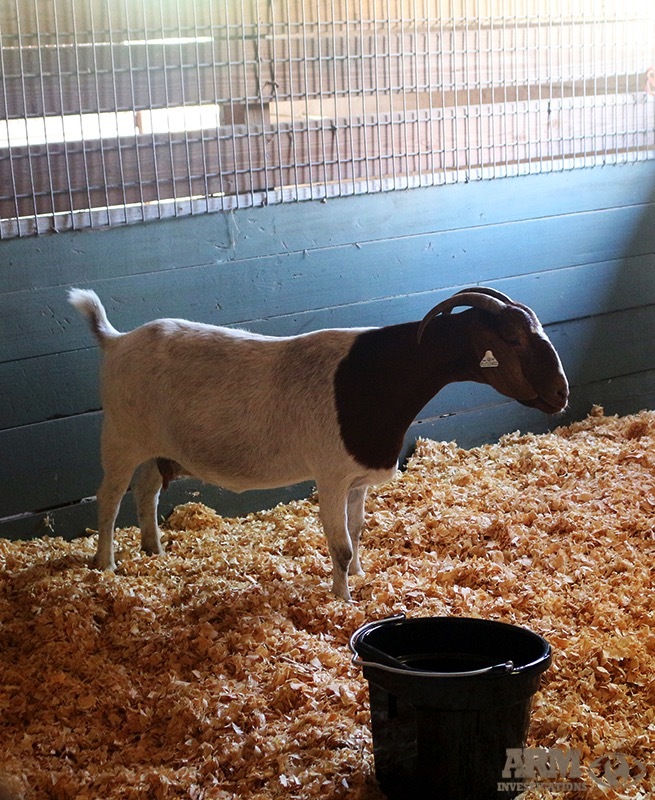 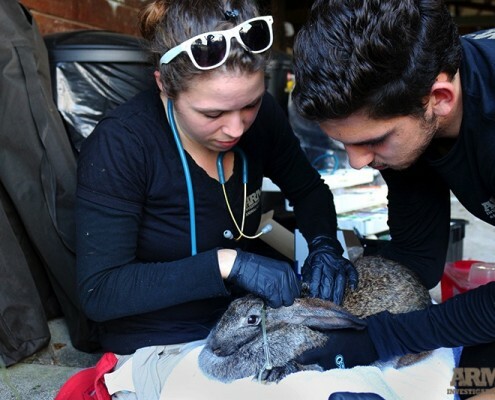 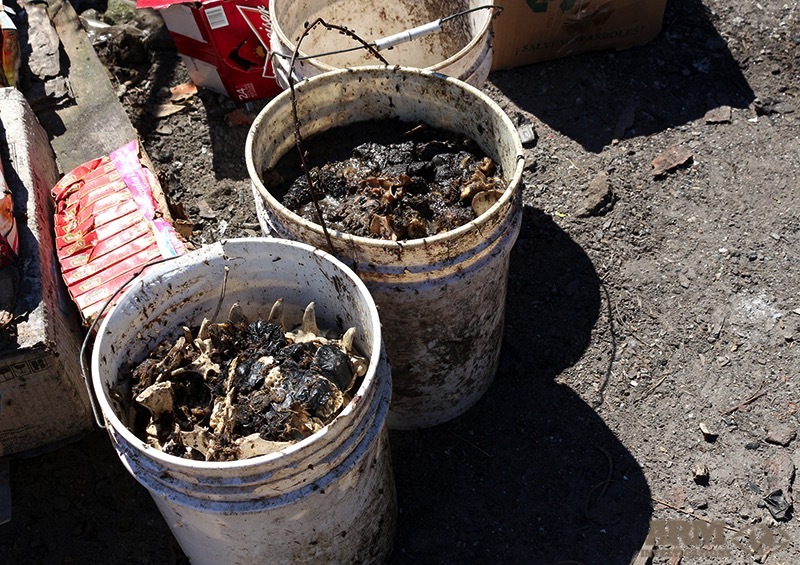 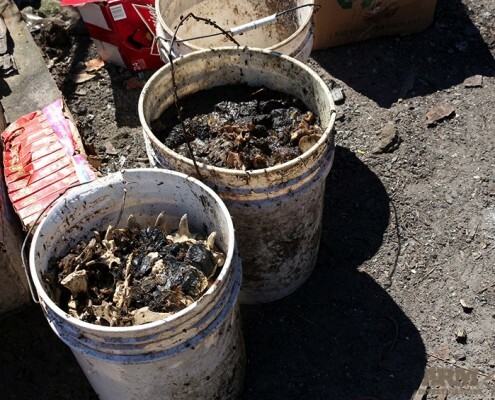 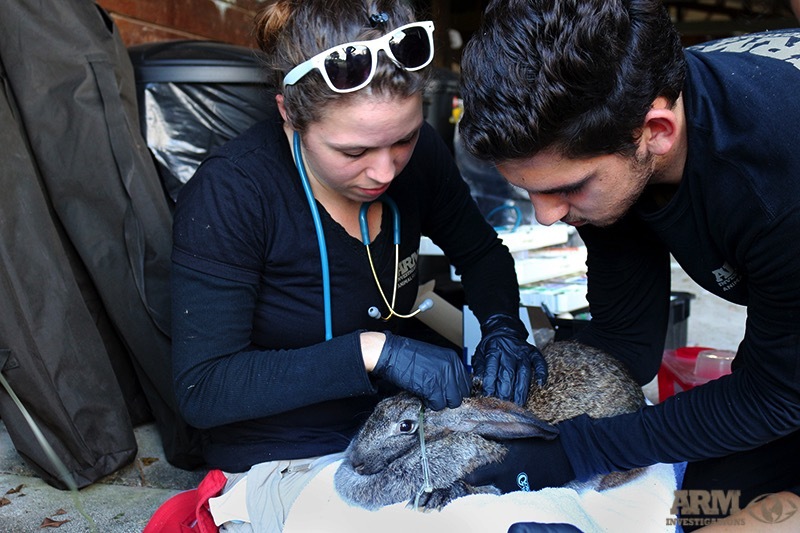 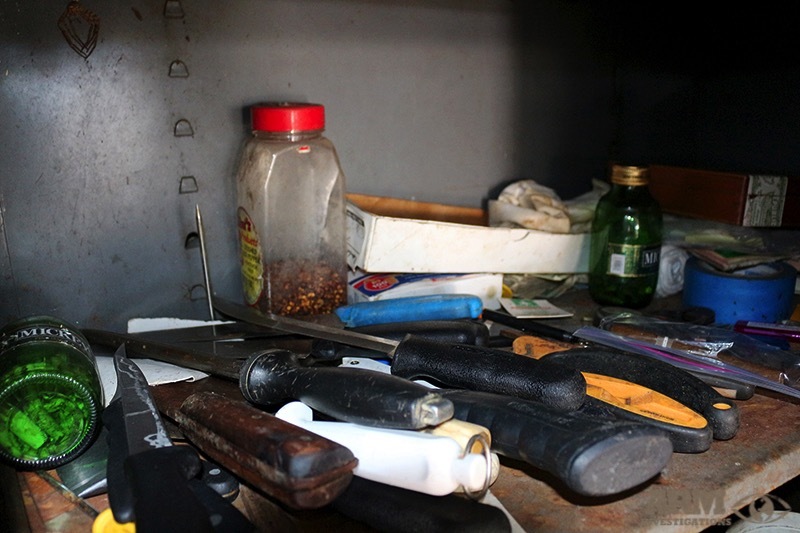 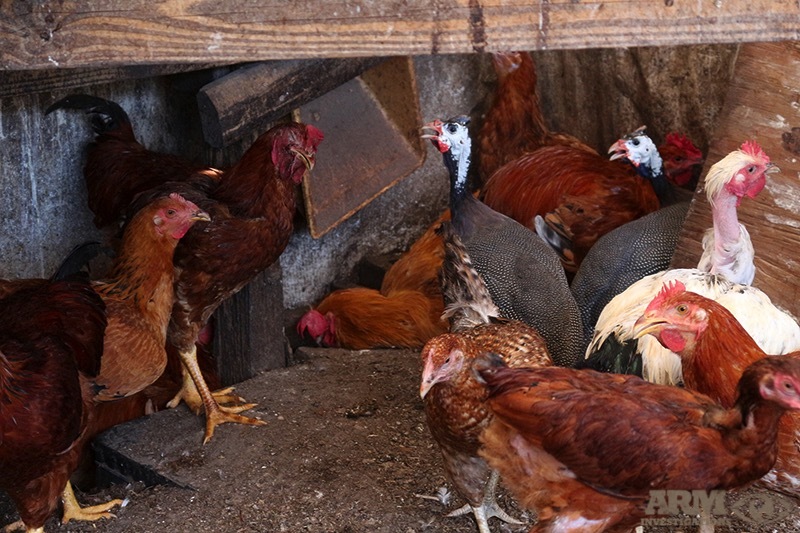 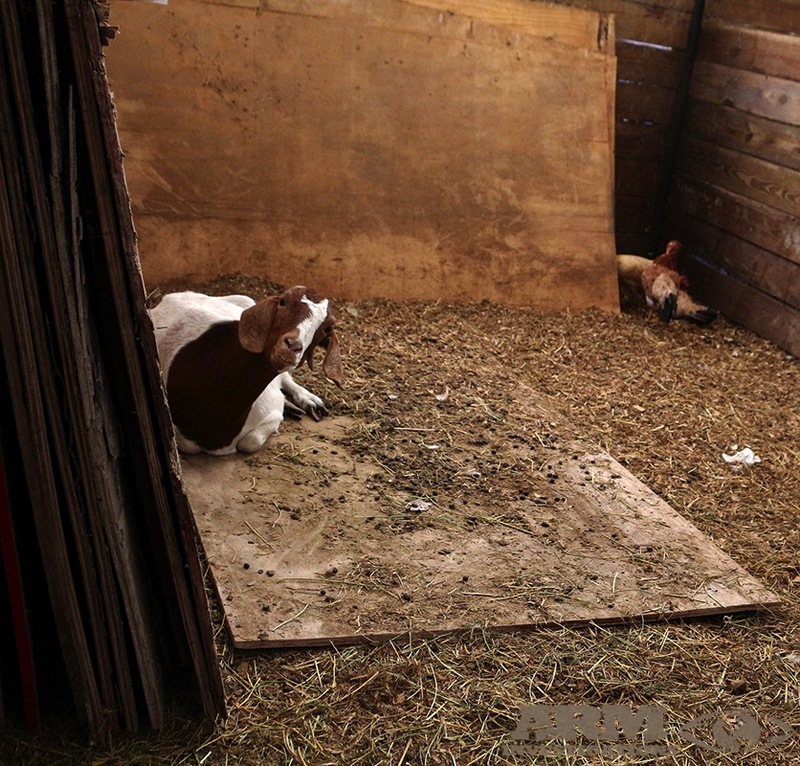 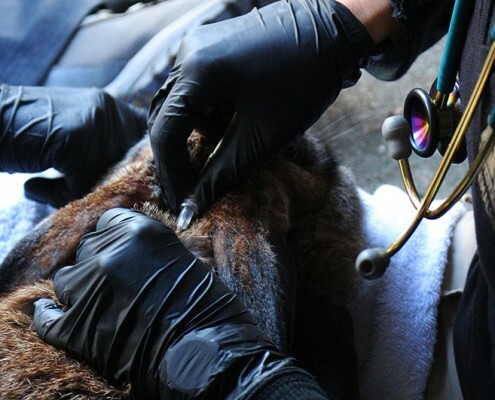 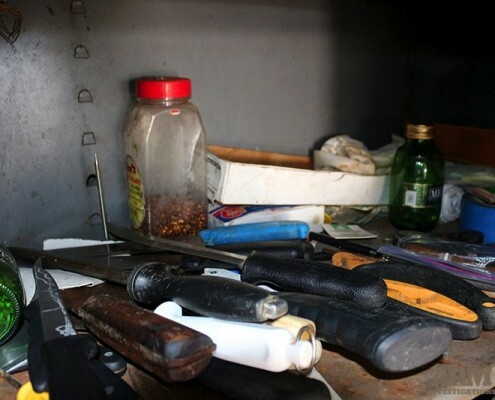 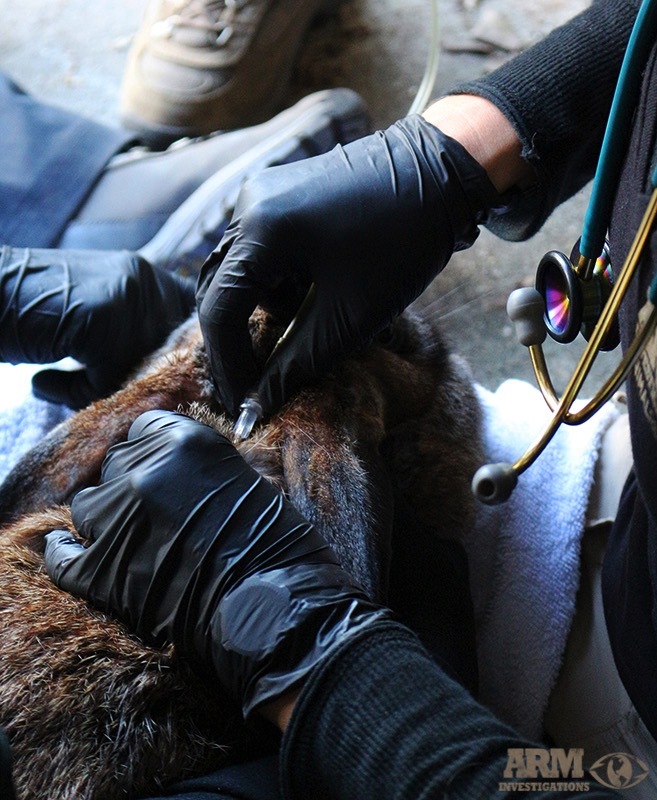 This also included simultaneous raids on two other properties (Garcia Farm and Medina Farm), just moments away from Paso Fino’s location, spurring the second largest task force animal cruelty rescue and strike in the United States. 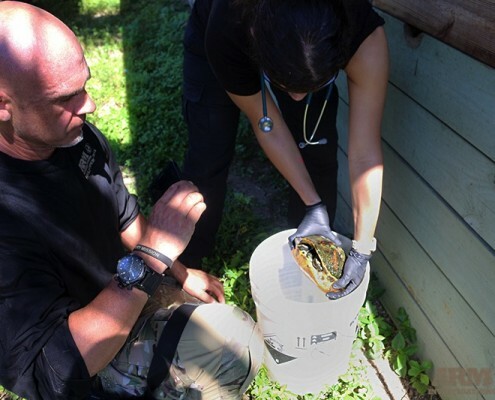 Updates on this investigation will follow. 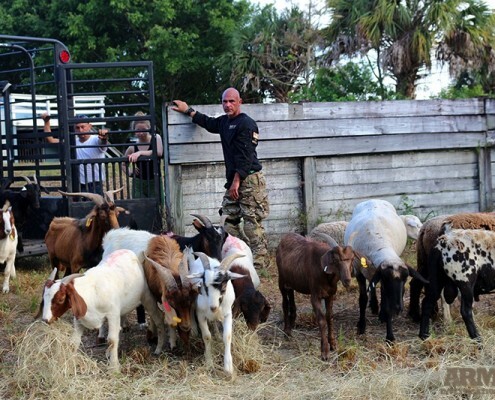 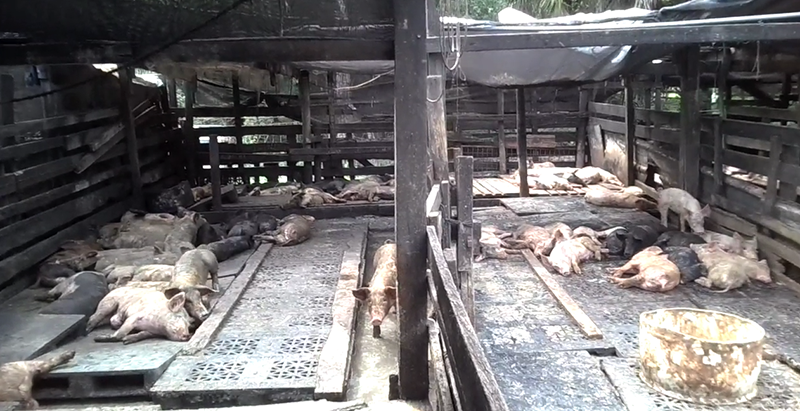 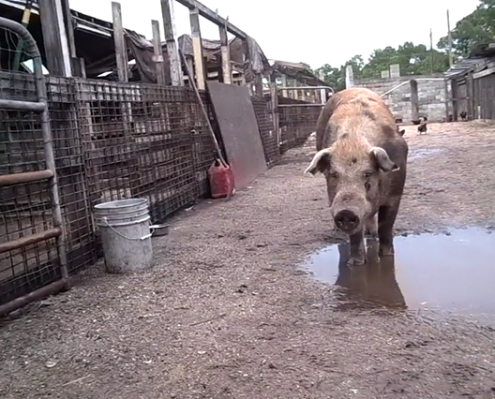 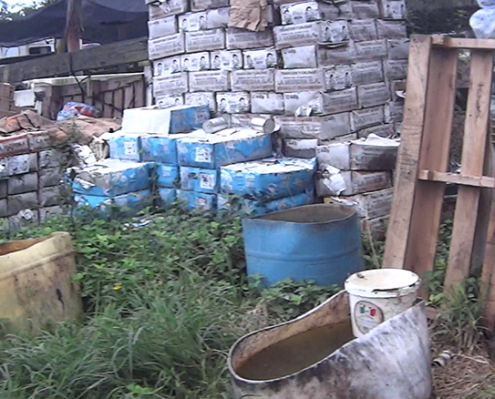 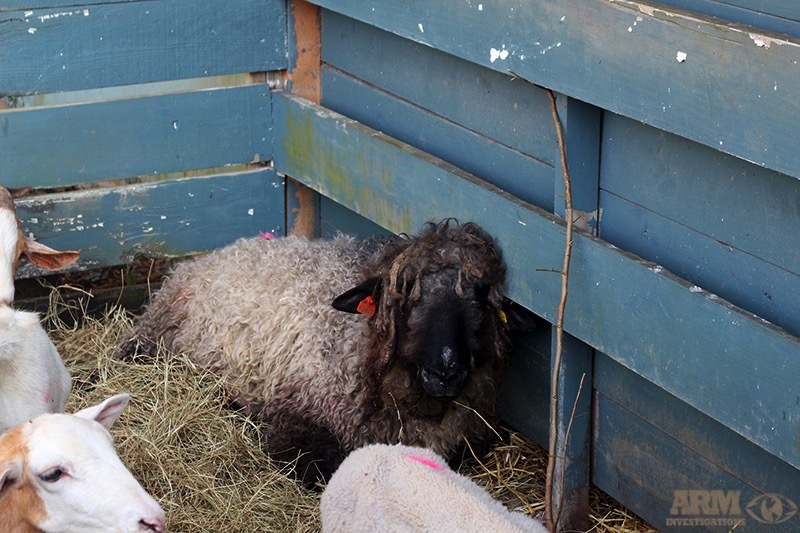 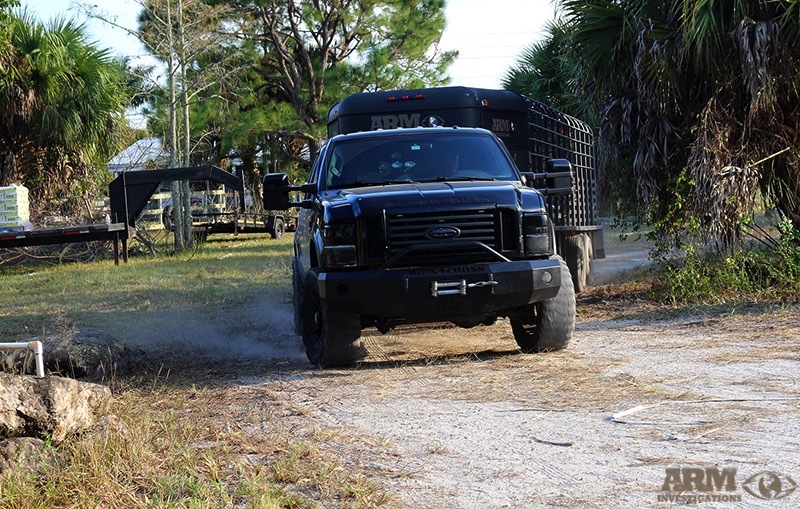 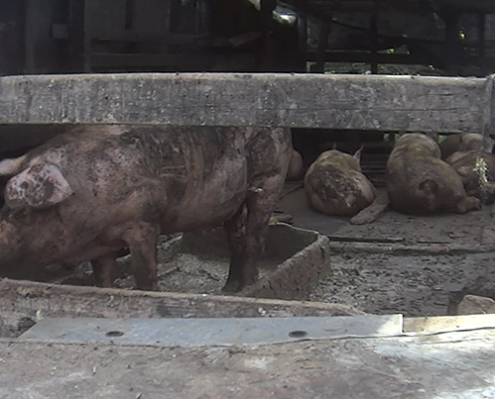 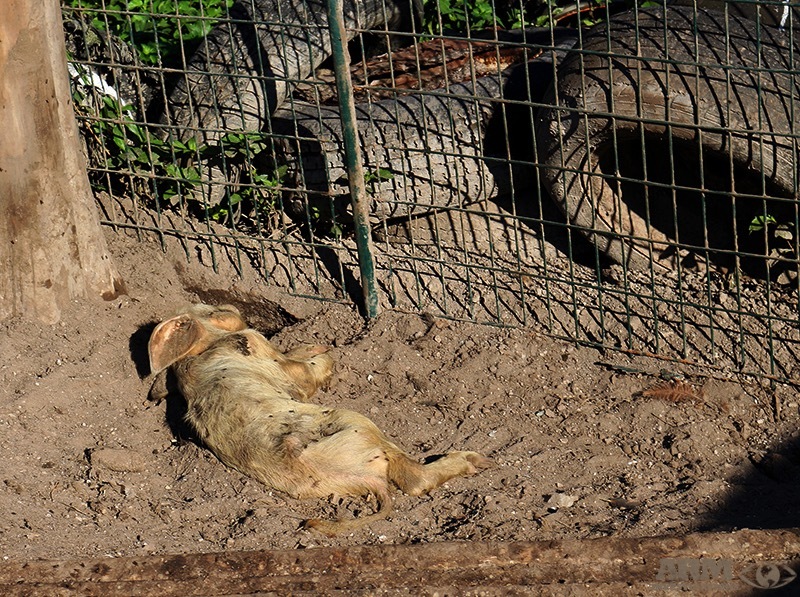 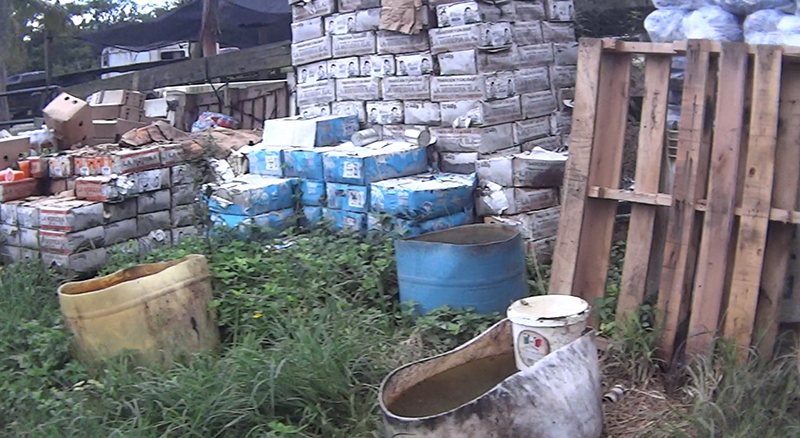 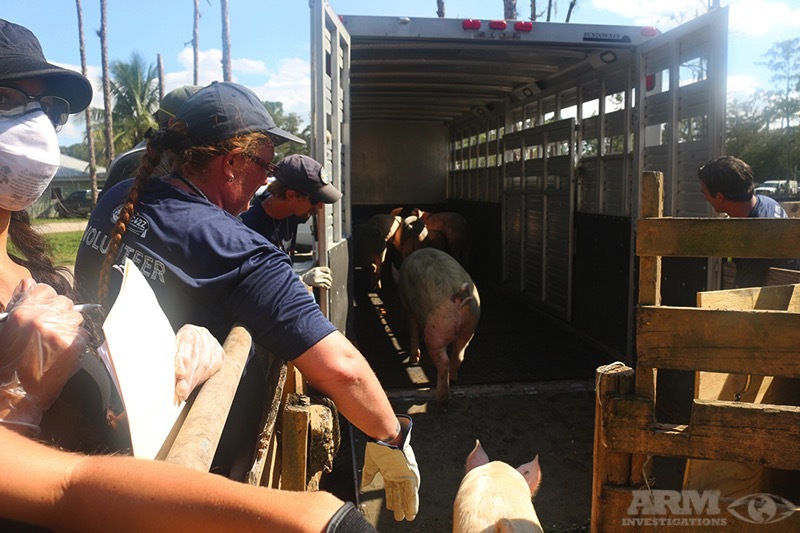 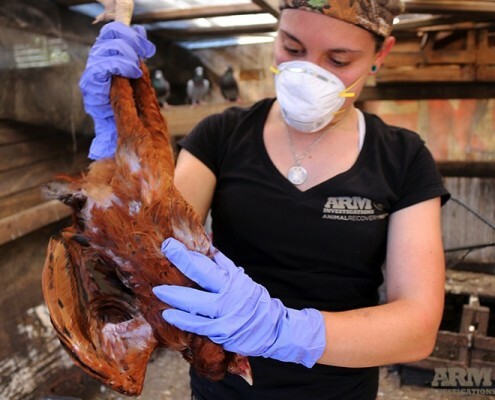 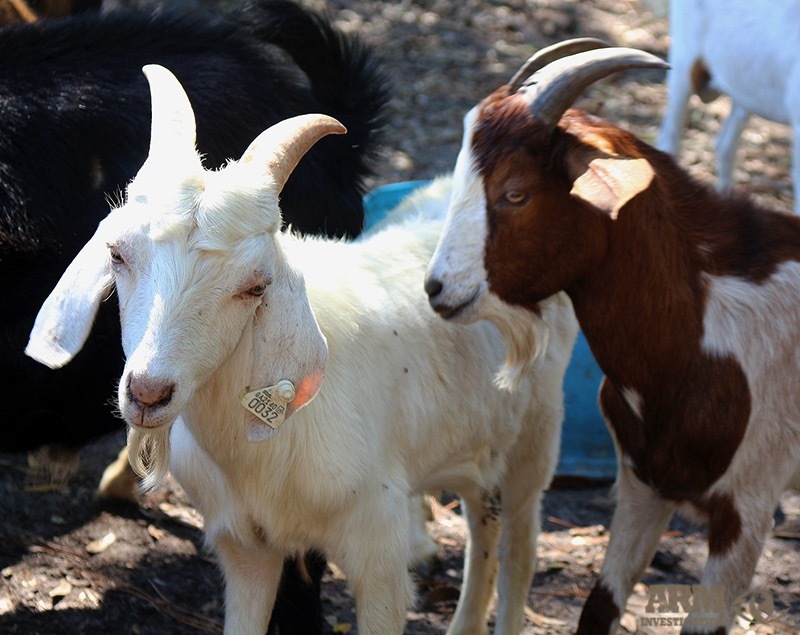 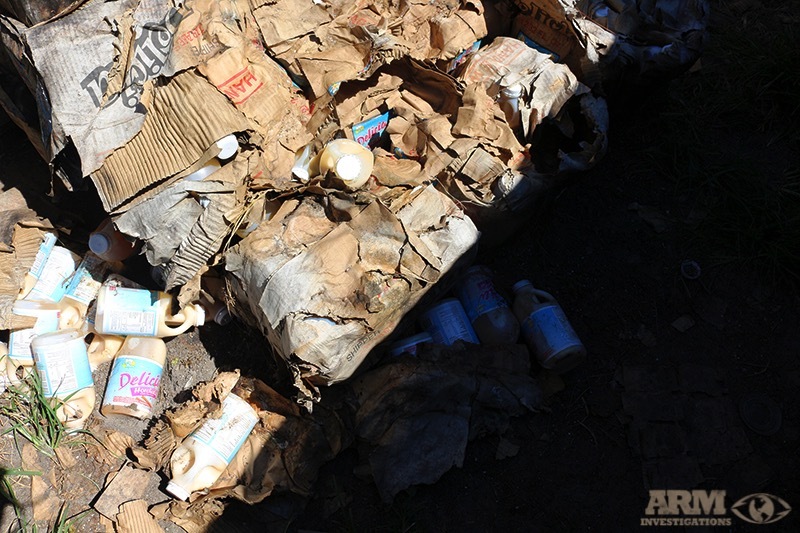 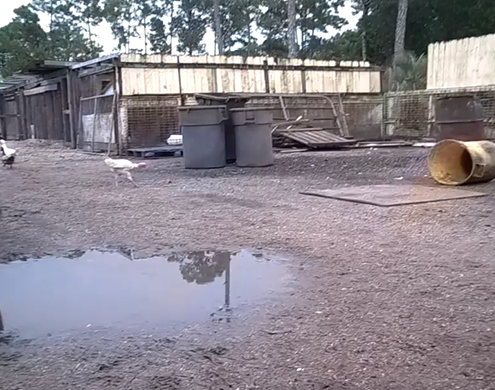 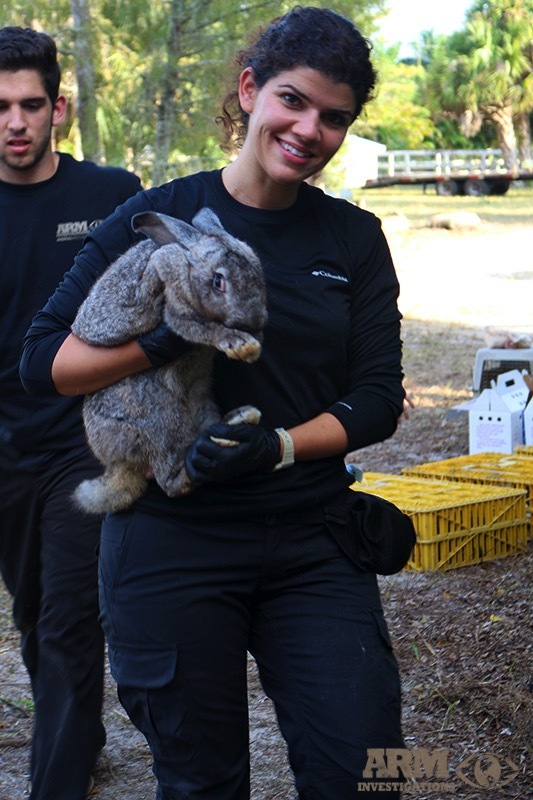 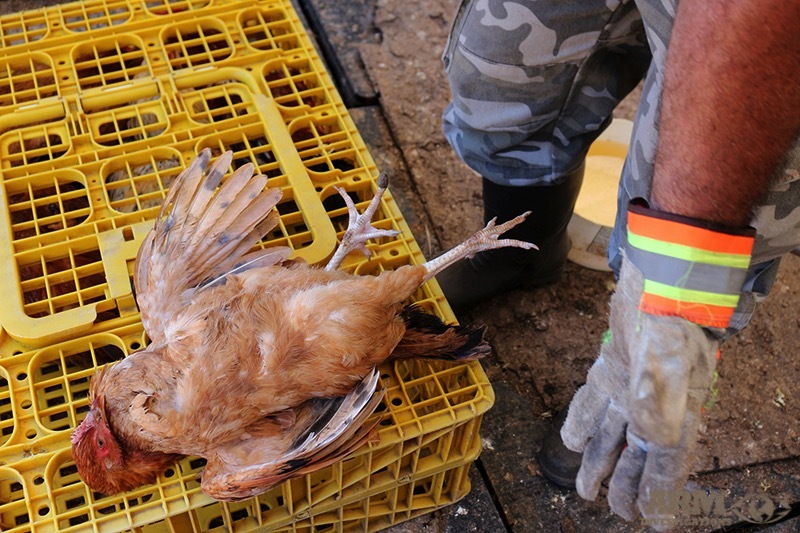 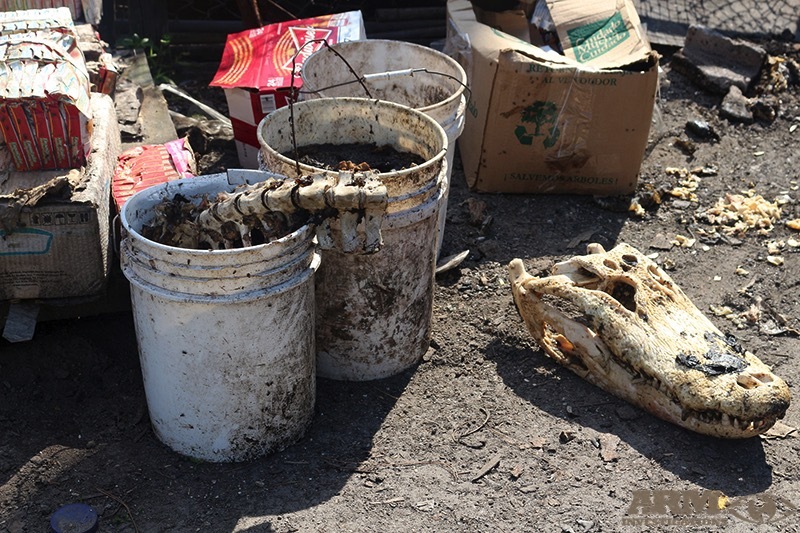 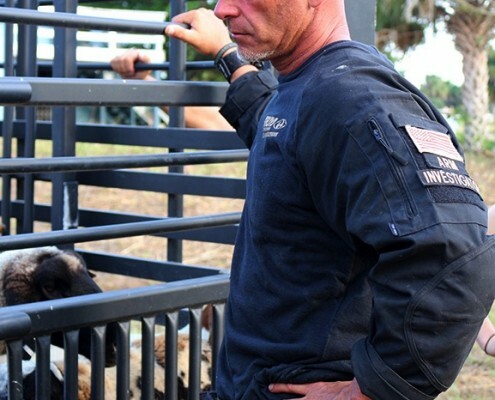 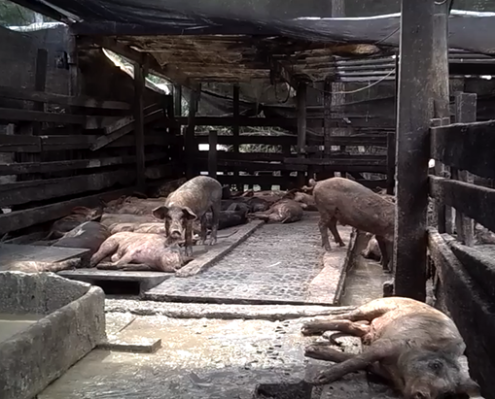 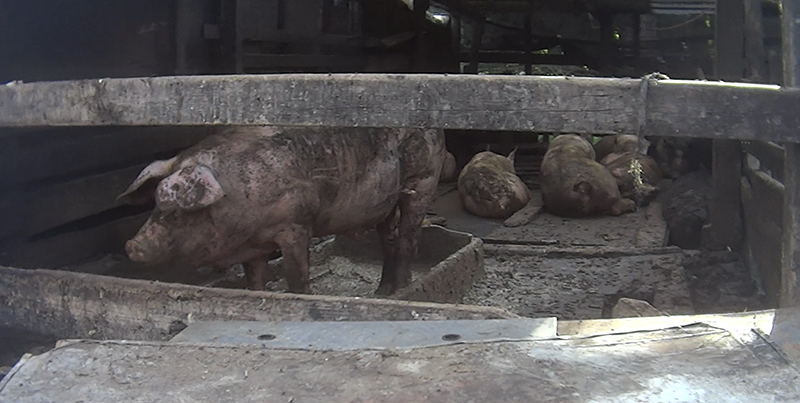 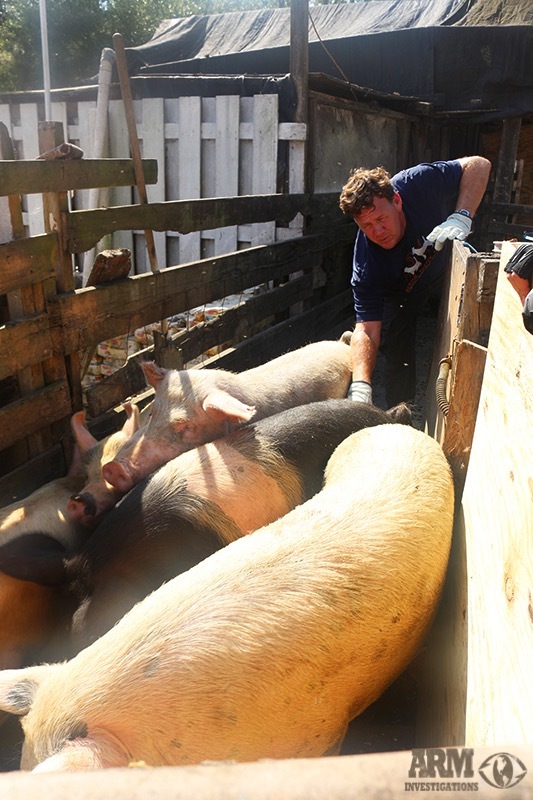 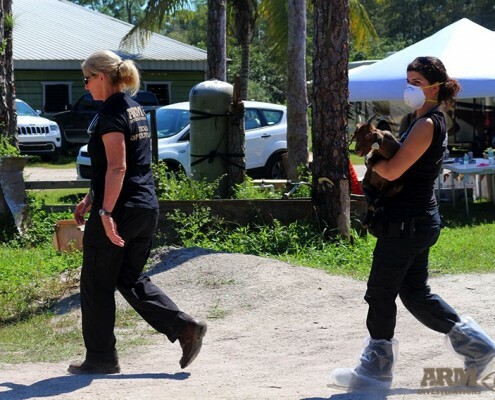 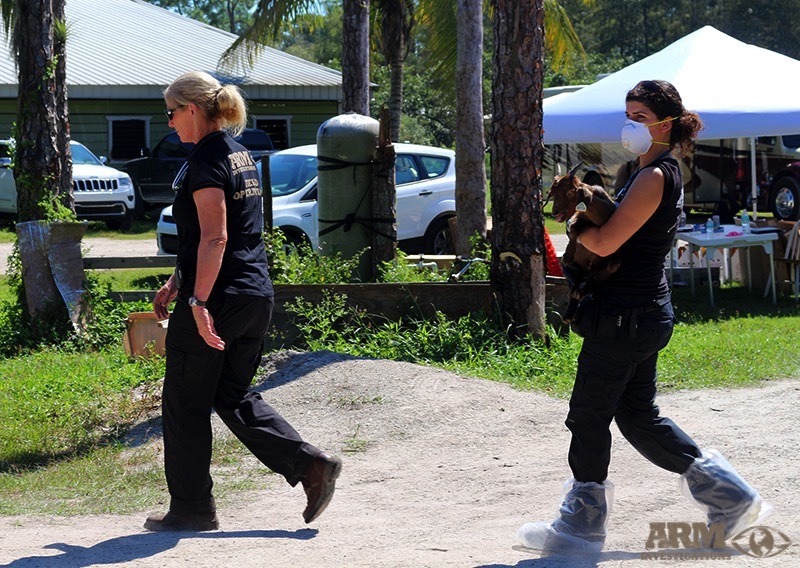 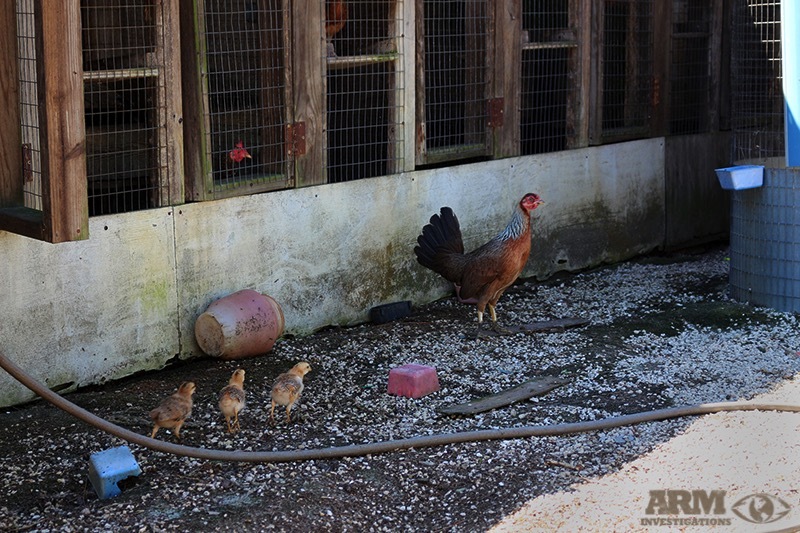 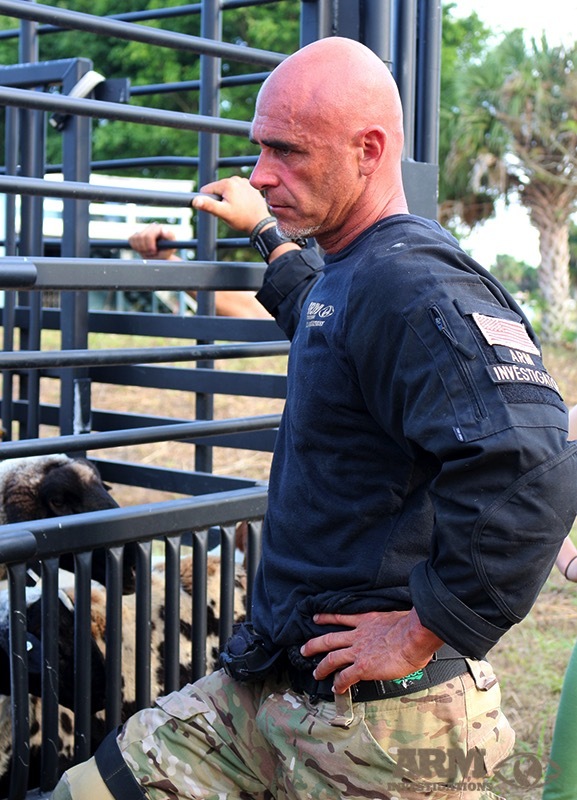 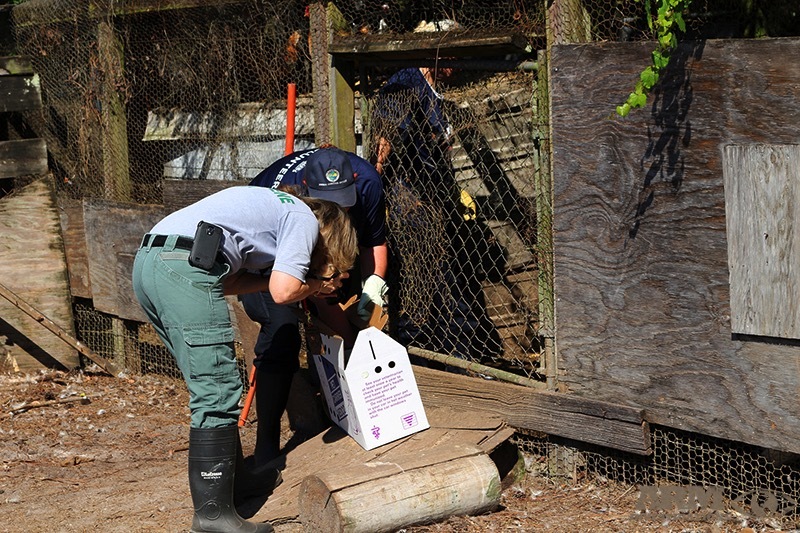 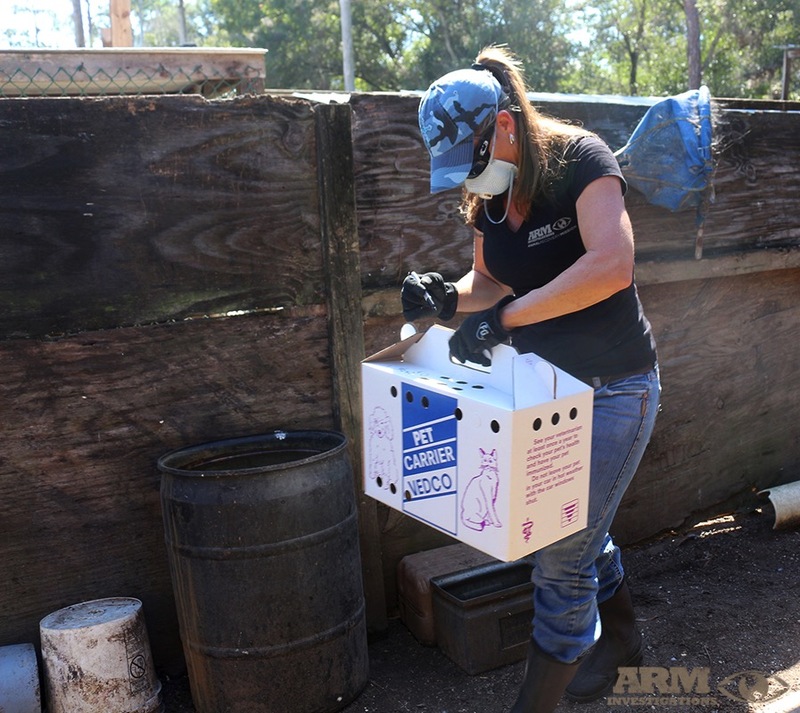 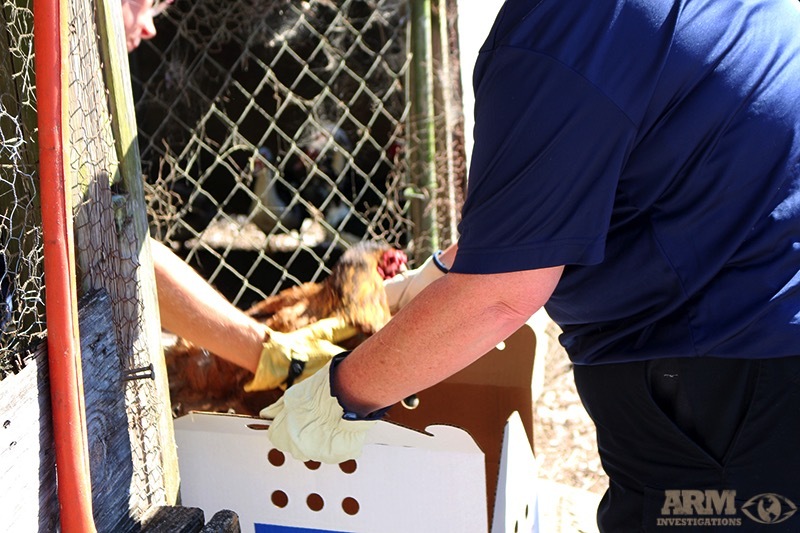 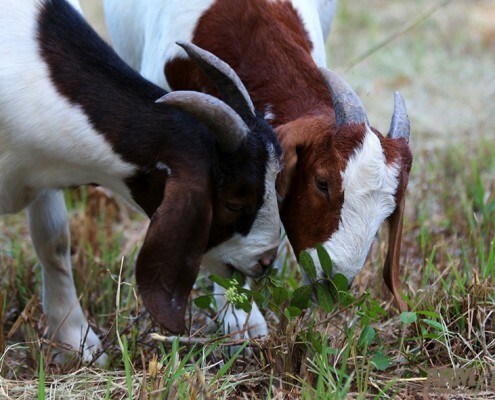 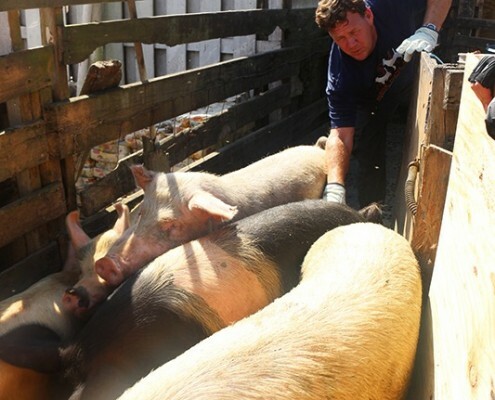 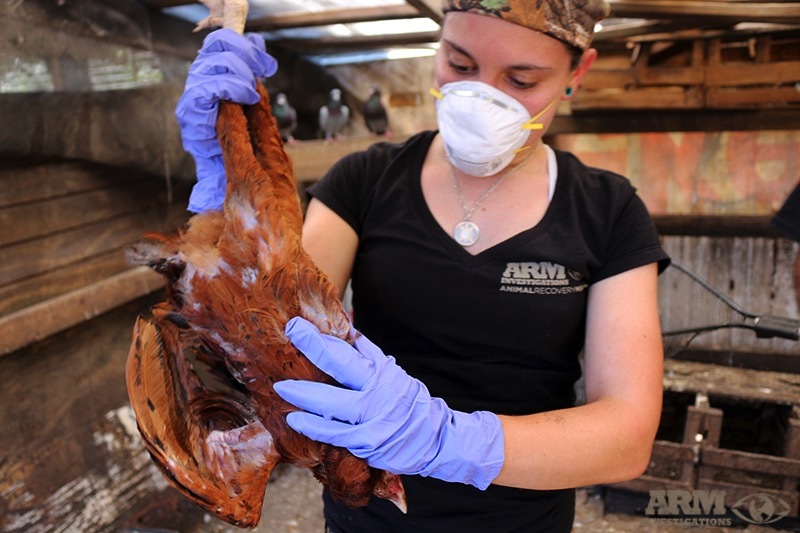 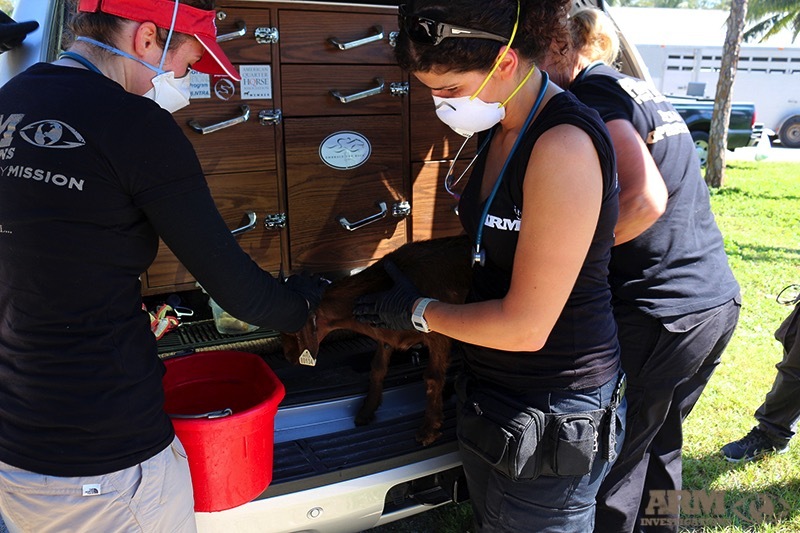 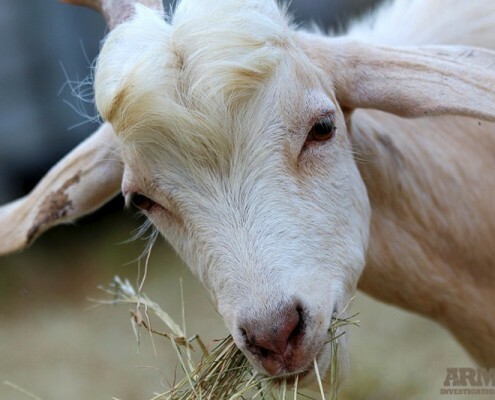 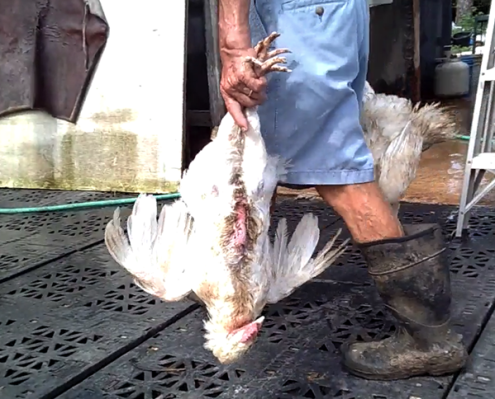 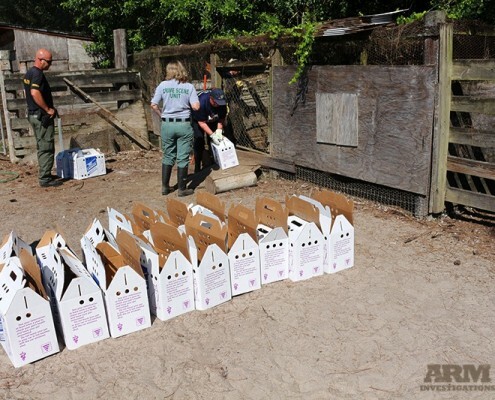 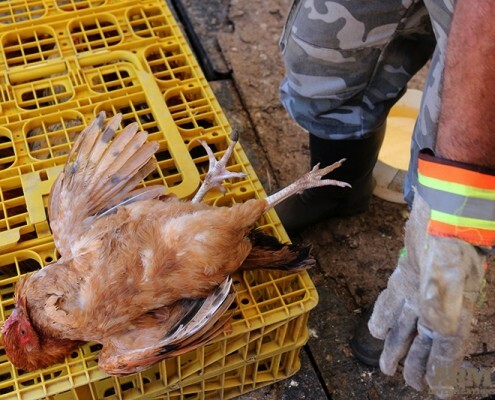 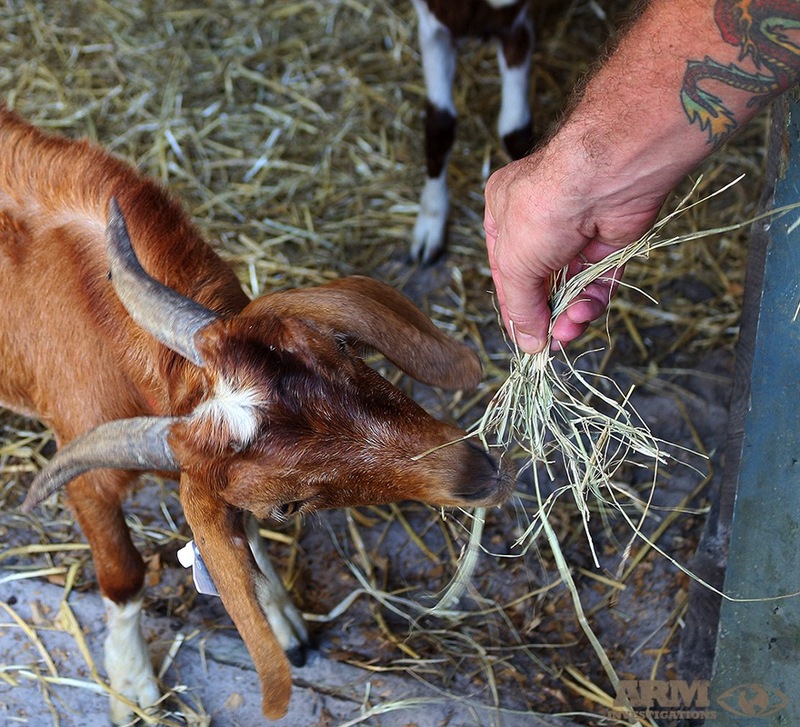 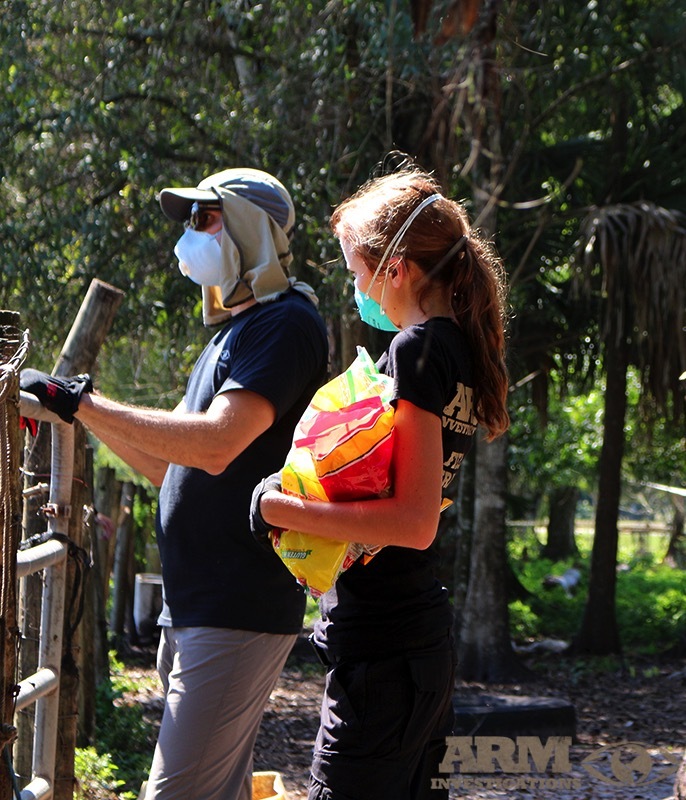 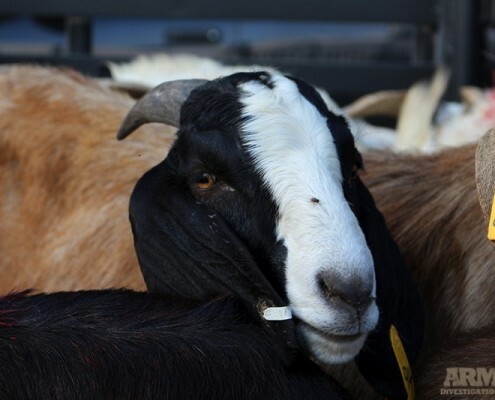 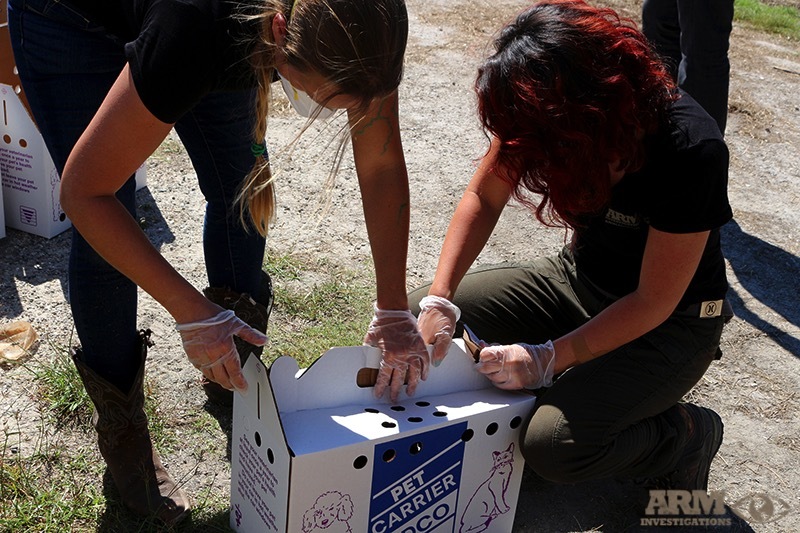 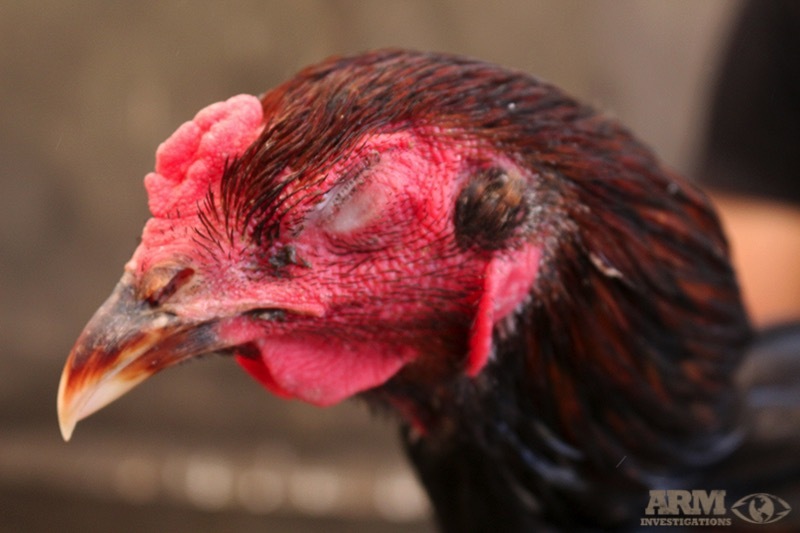 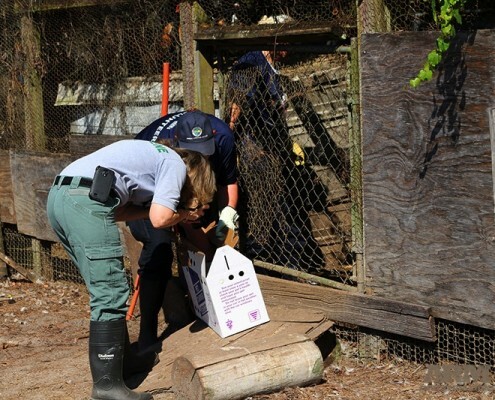 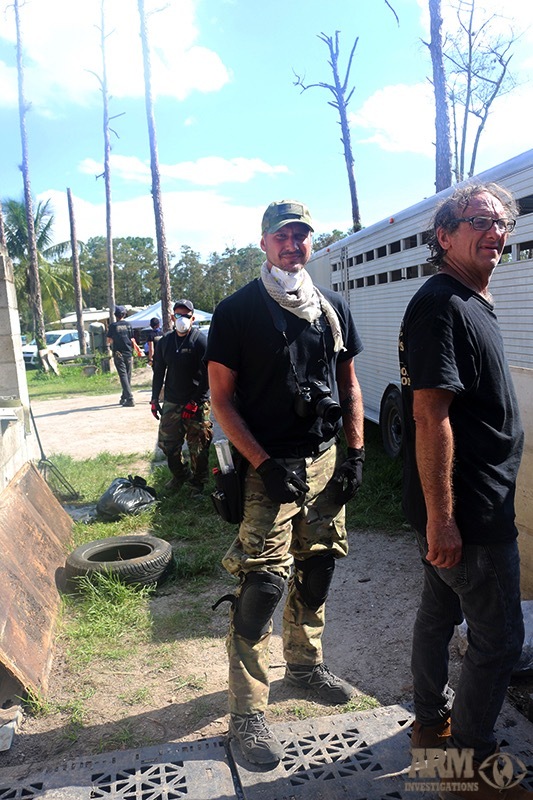 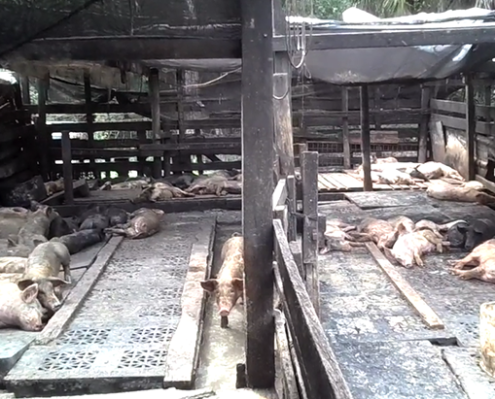 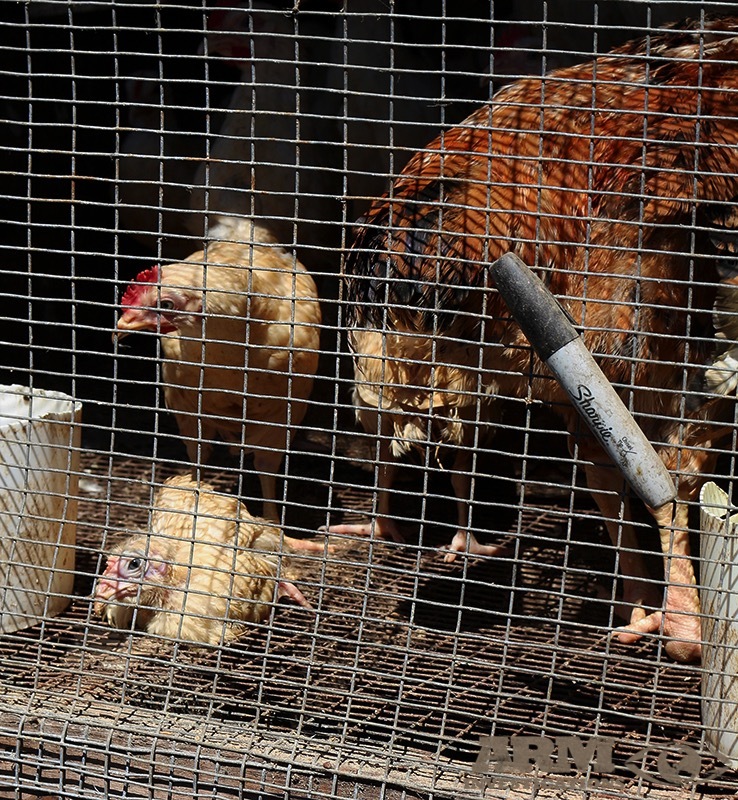 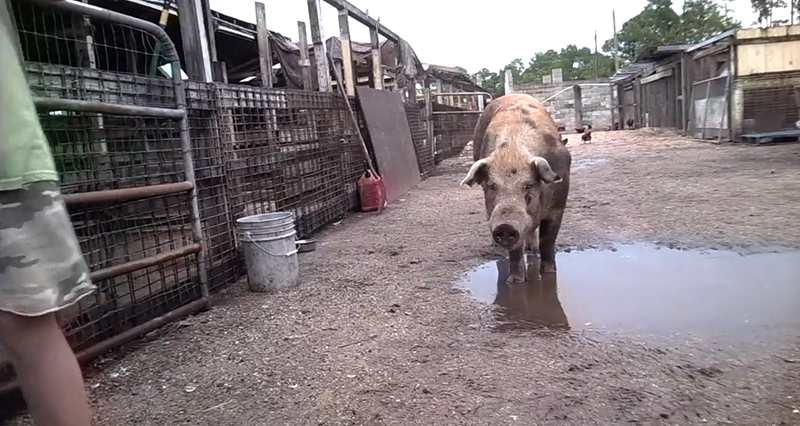 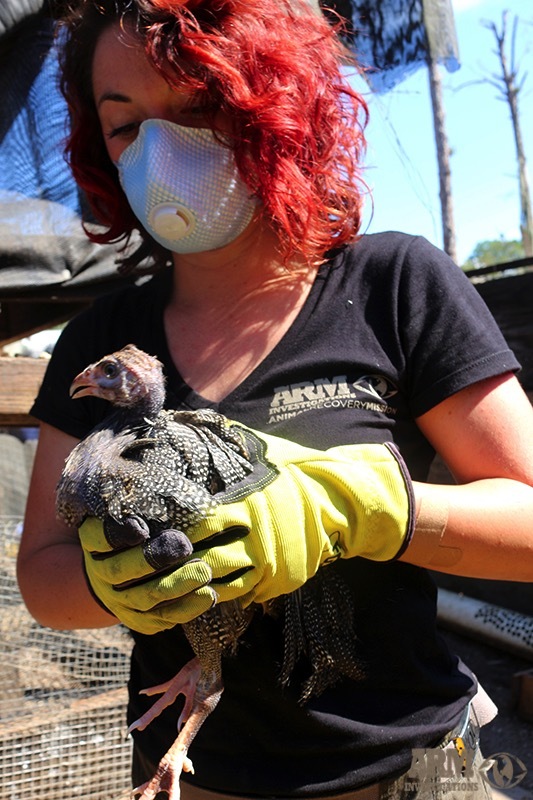 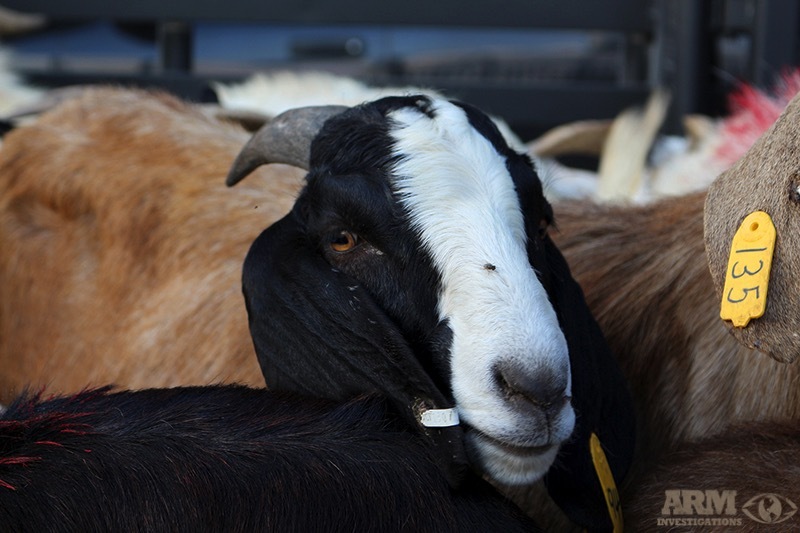 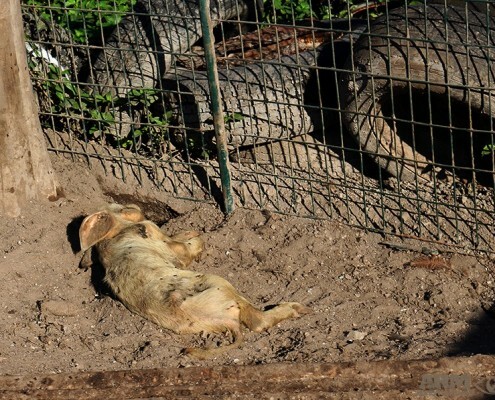 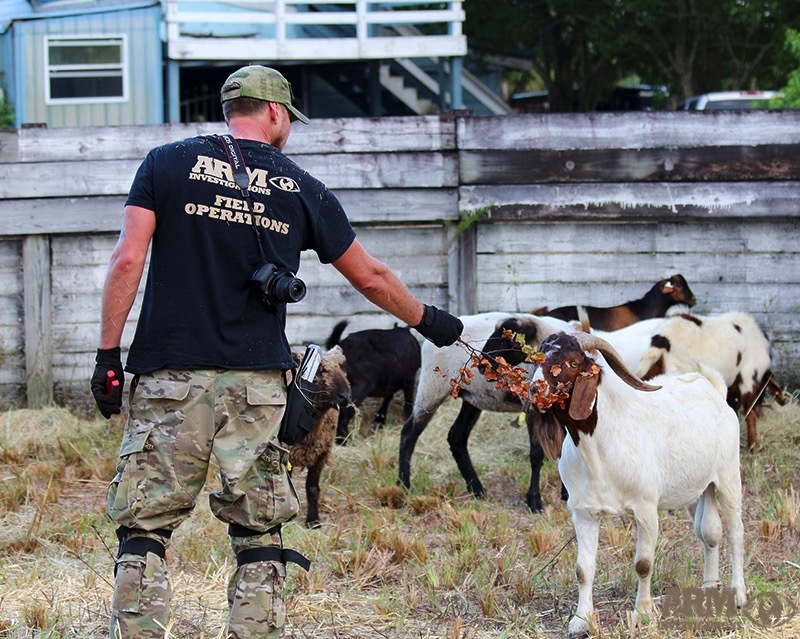 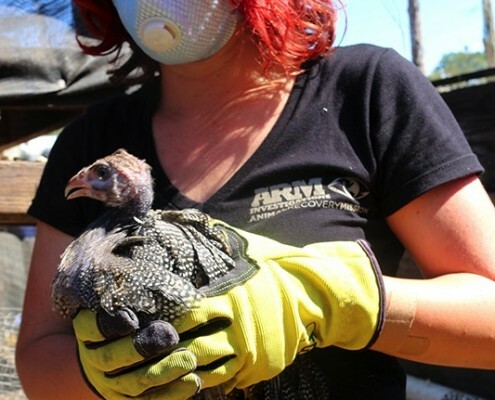 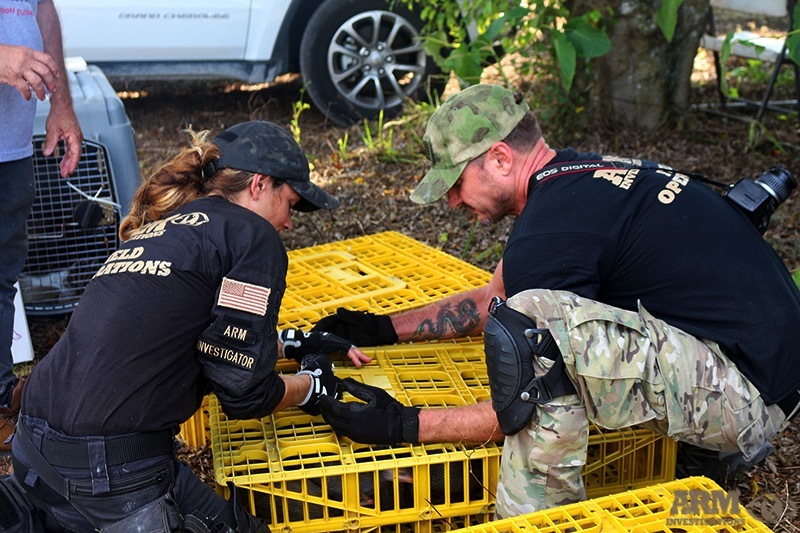 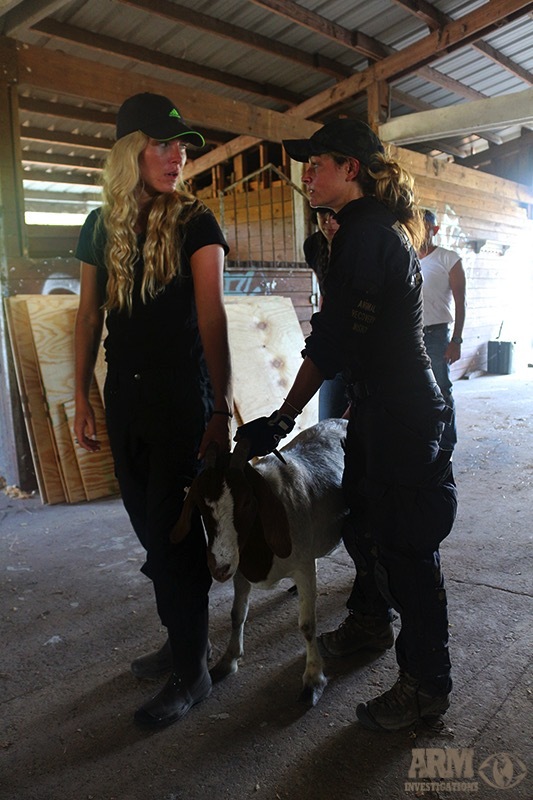 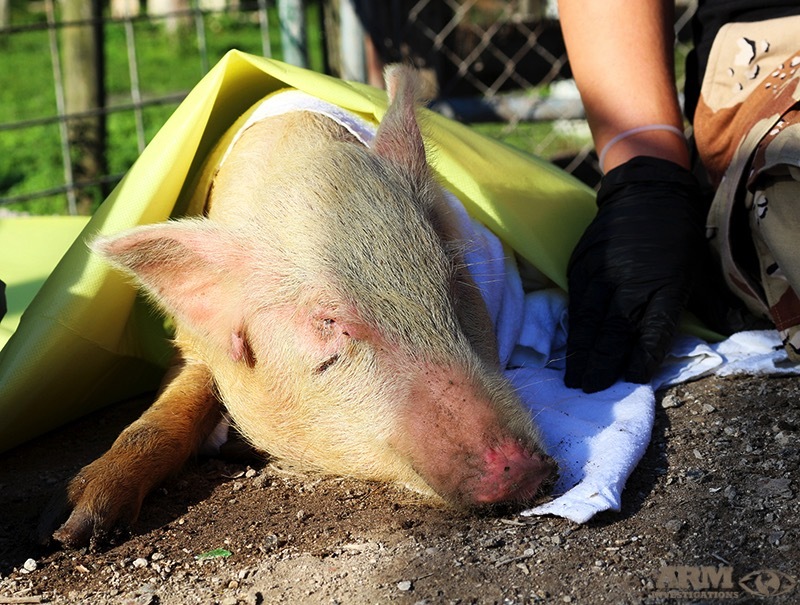 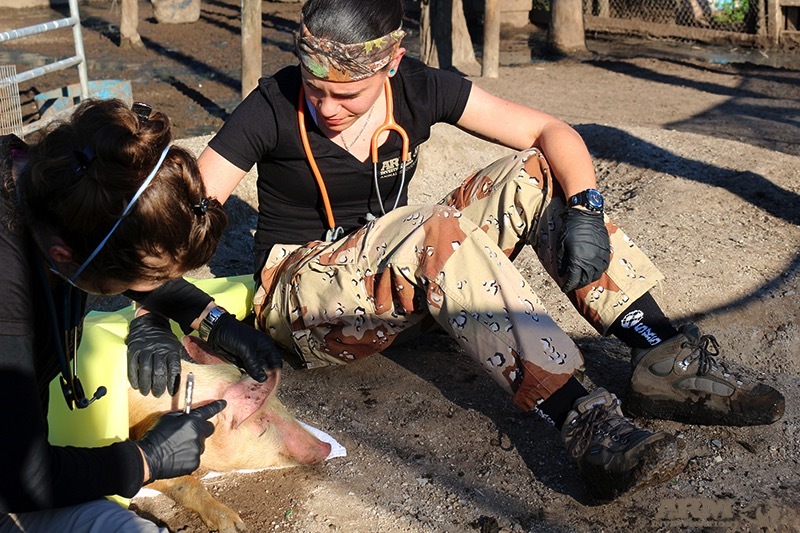 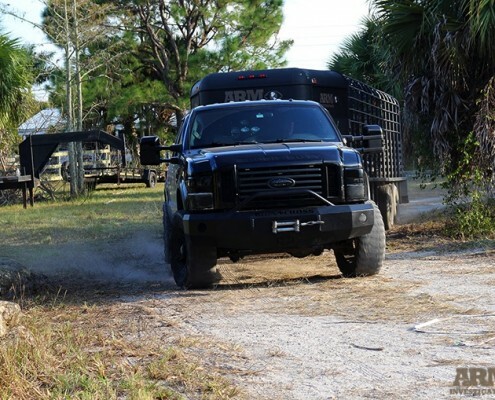 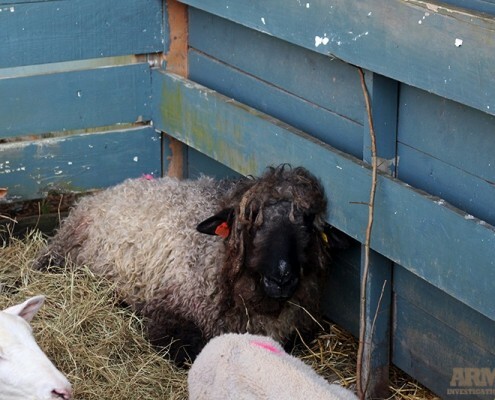 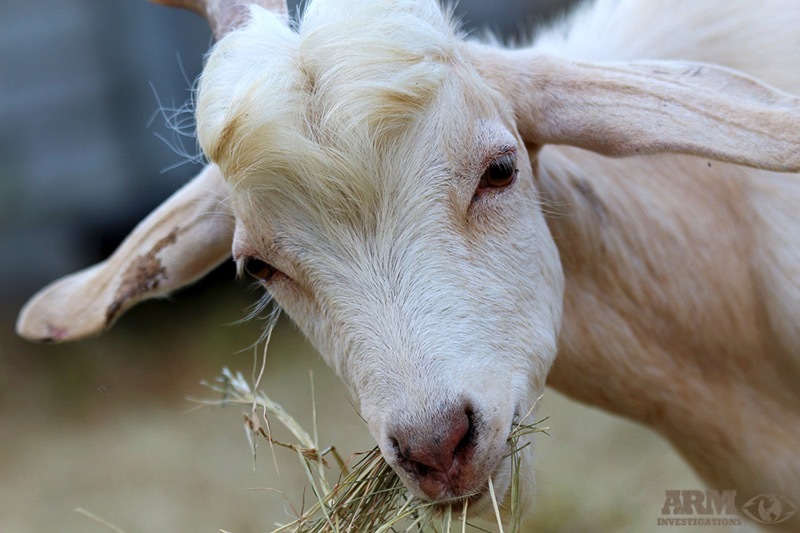 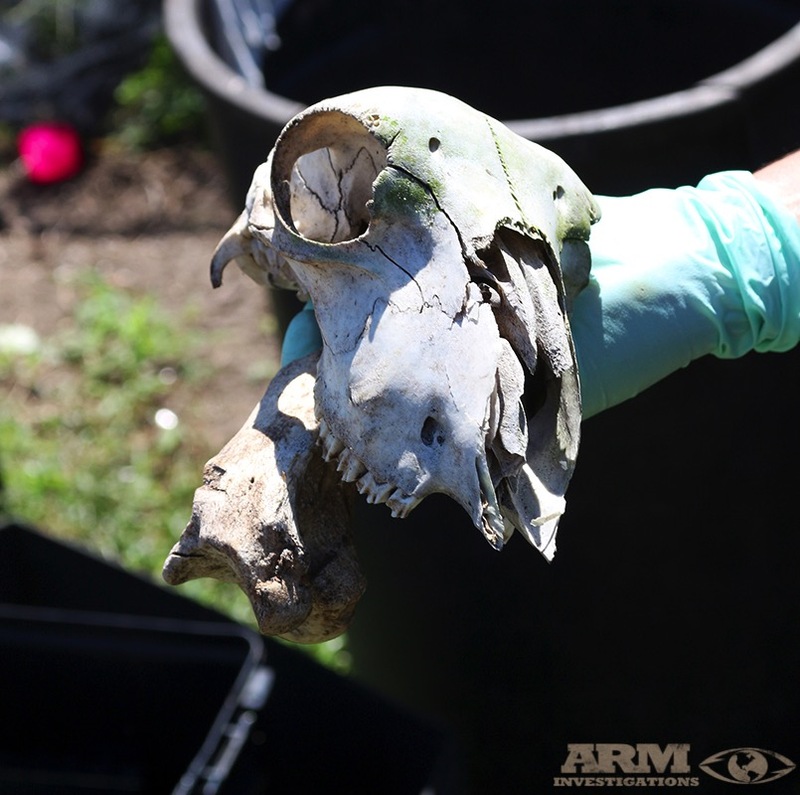 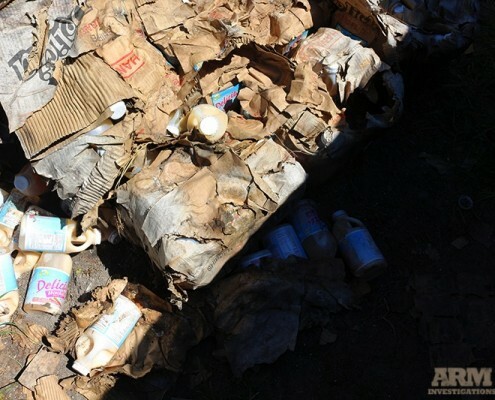 Watch how ARM’s animal rescue and raid went down on all three illegal slaughter farms! 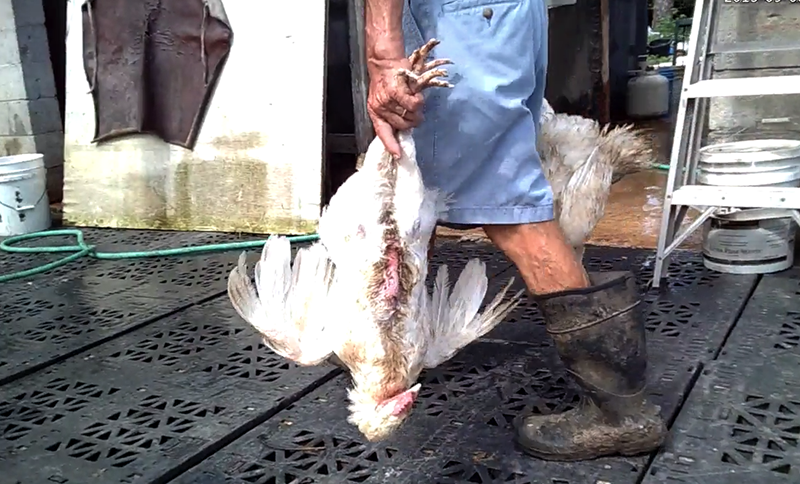 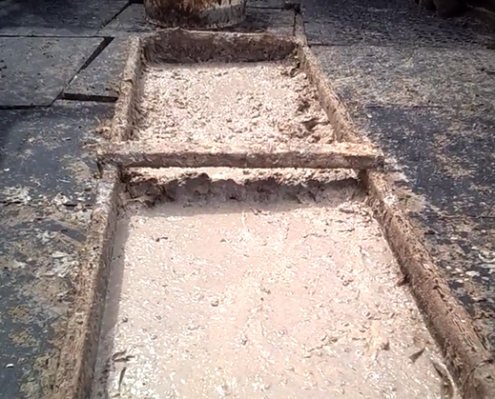 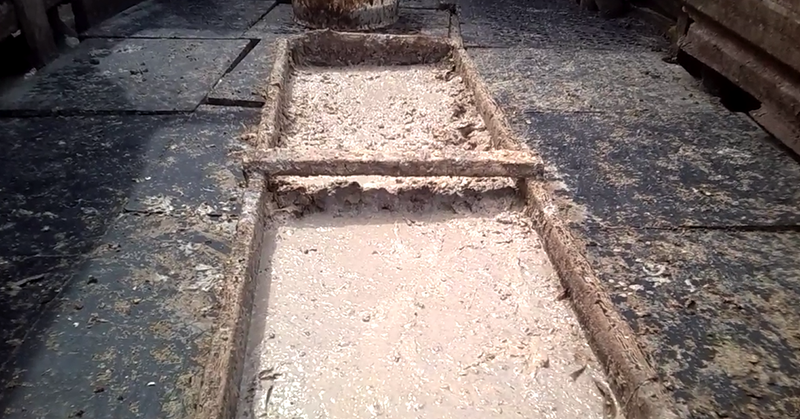 Undercover Footage taken by ARM investigators. 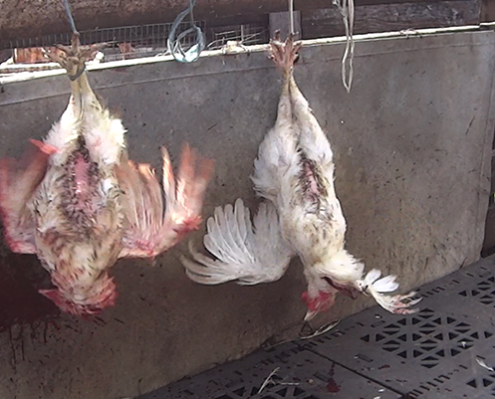 ***WARNING – Contains graphic content!